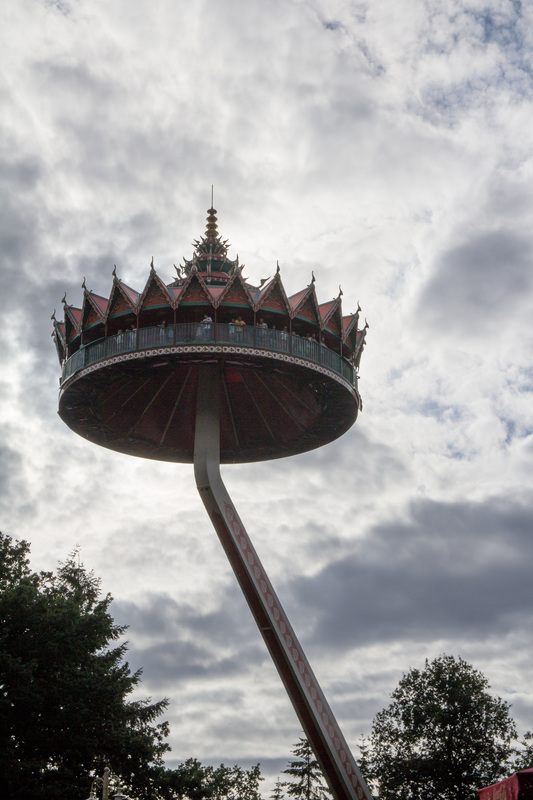 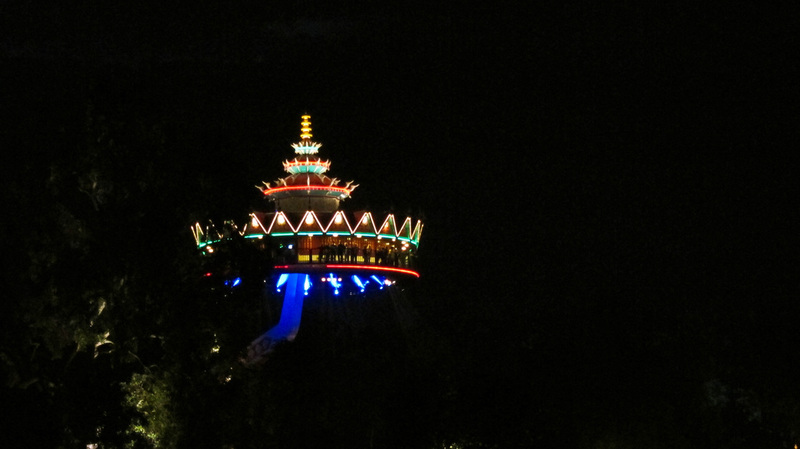 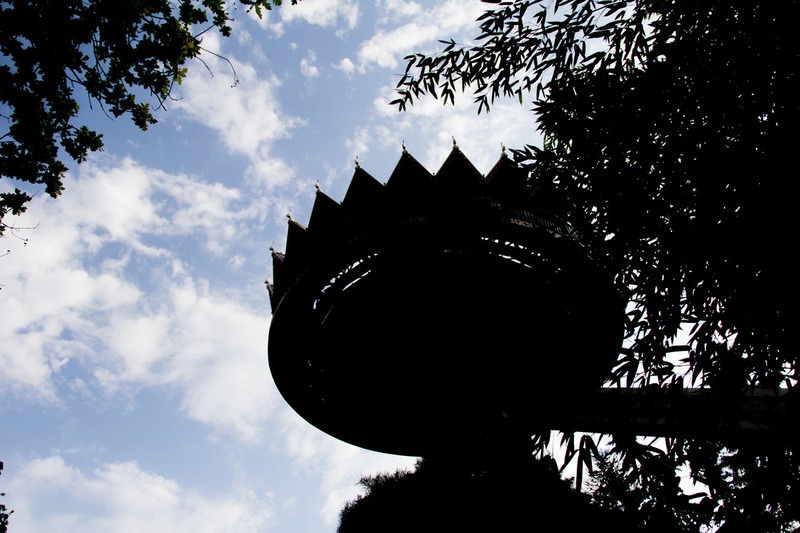 ​High above everything else you’ll find the floating temple ‘Pagode’. What a view! 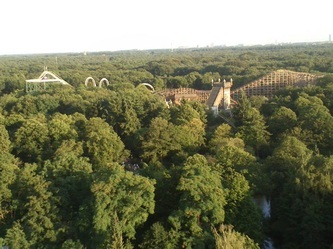 Even if you are afraid of heights, you shouldn’t miss this. 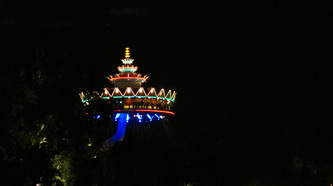 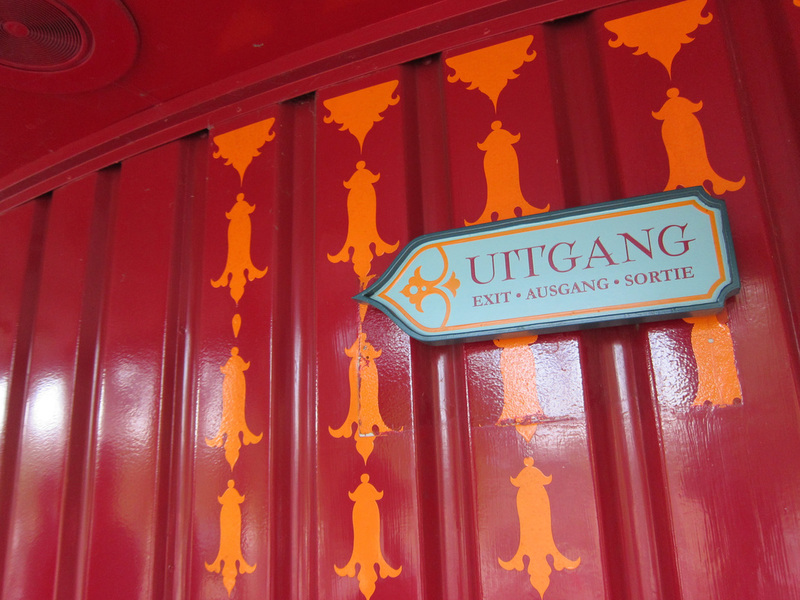 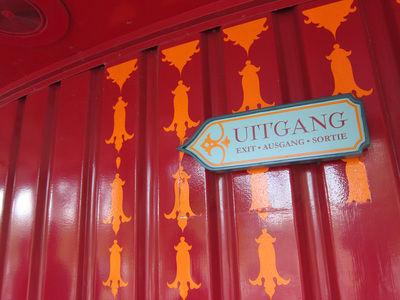 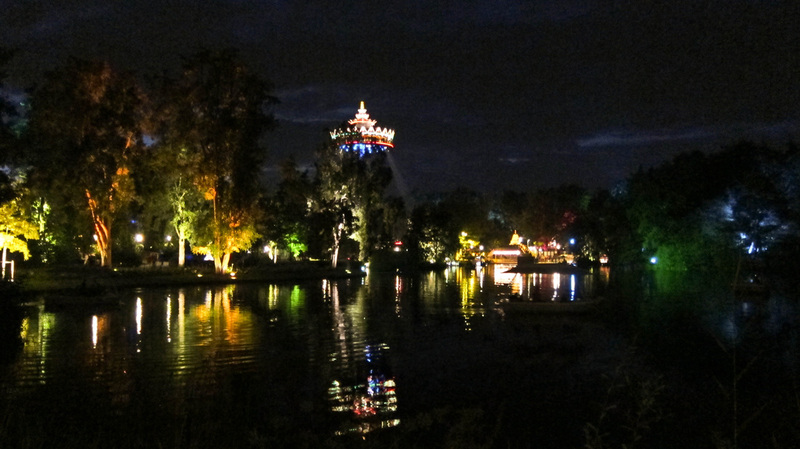 As you sit down on one of the long benches, the Pagode calmly and very gradually takes you up to a height of 45 metres. 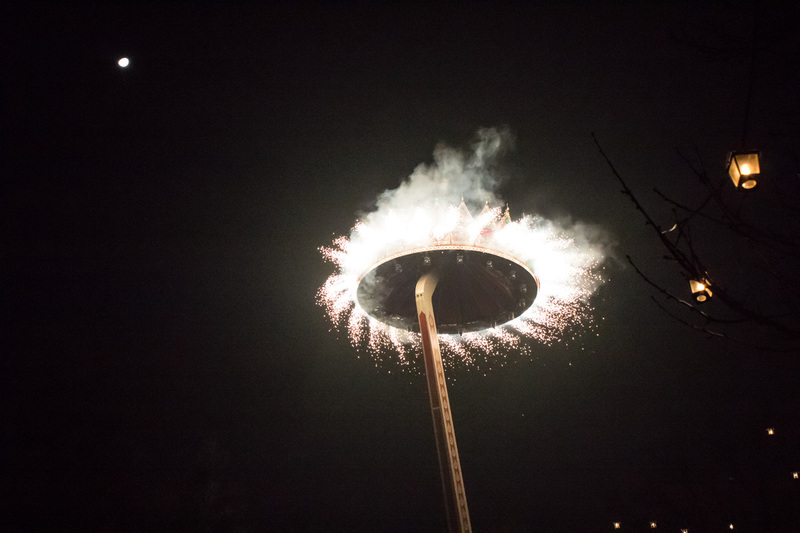 Wow…! 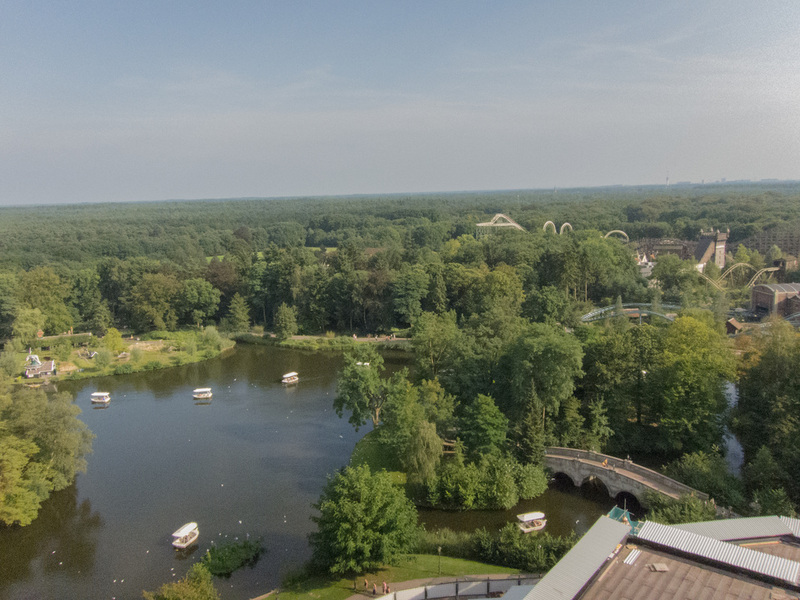 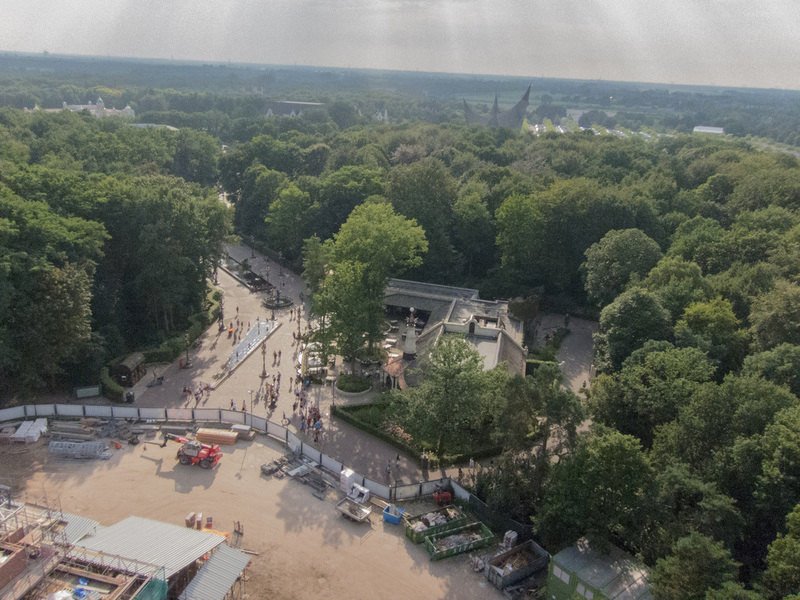 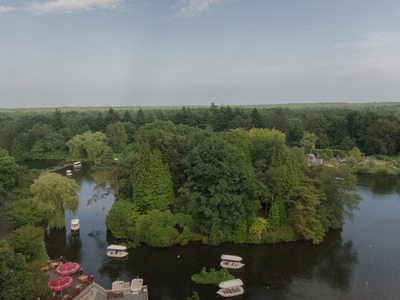 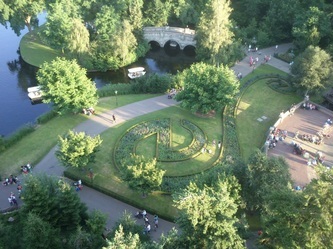 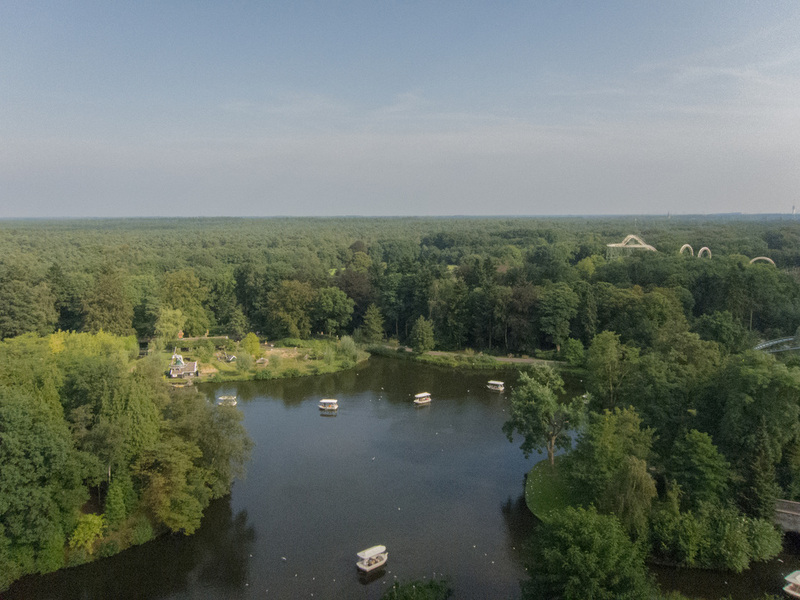 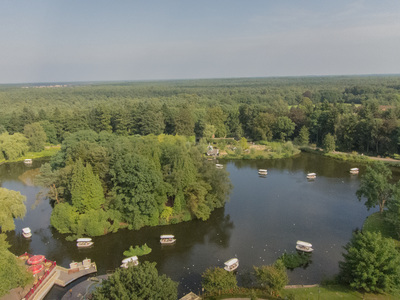 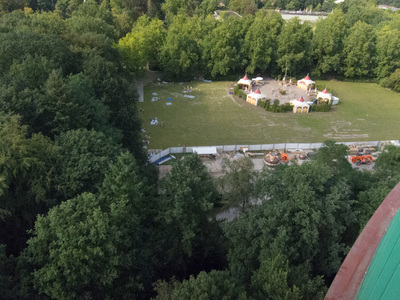 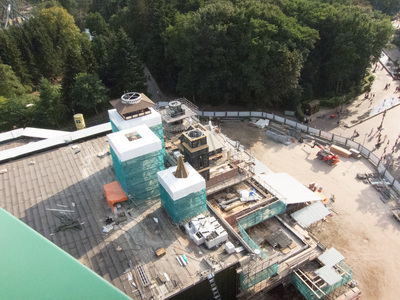 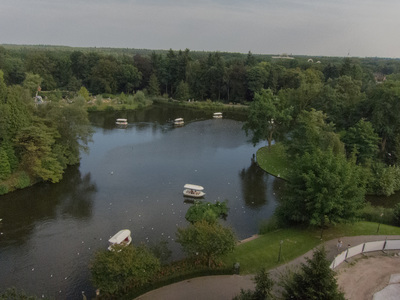 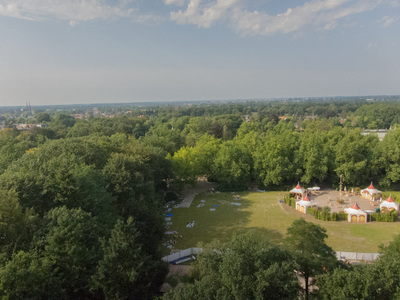 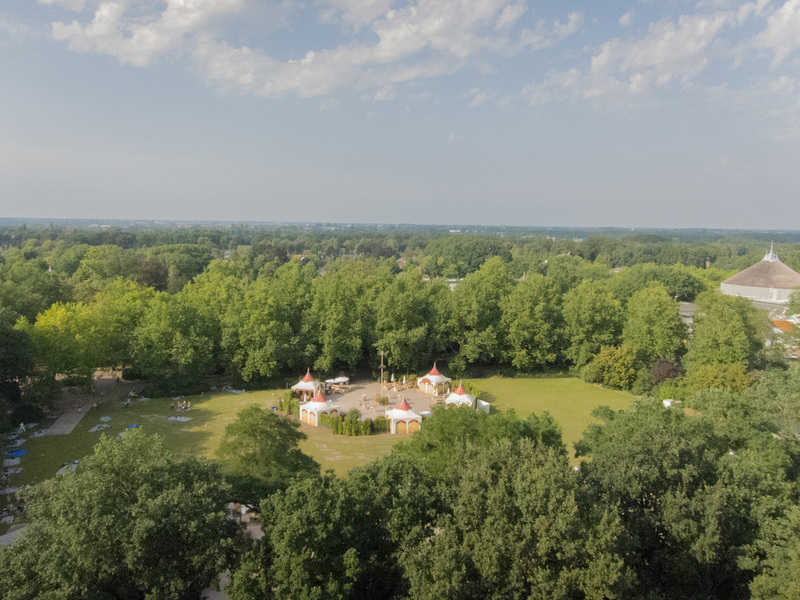 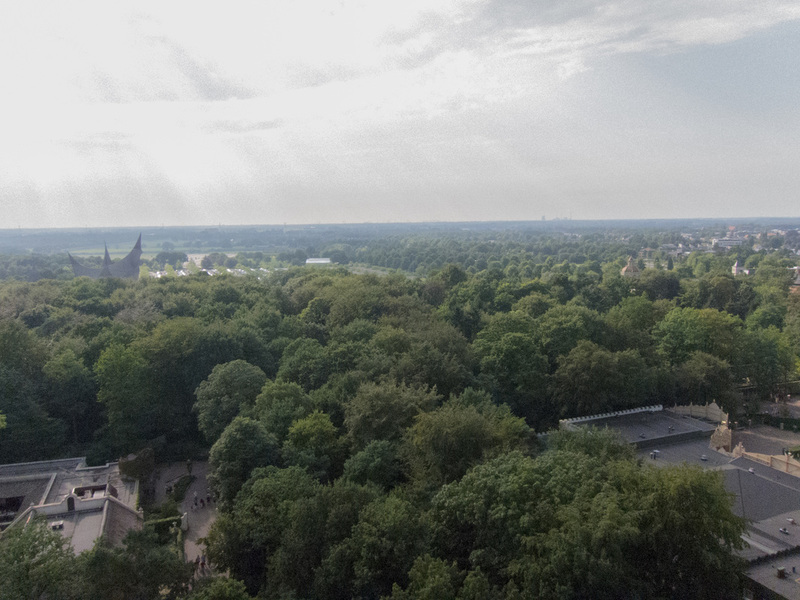 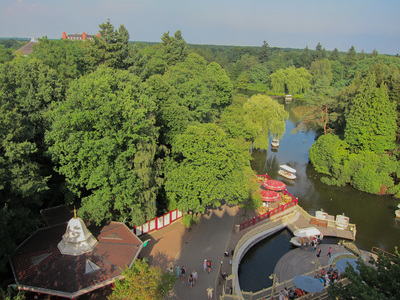 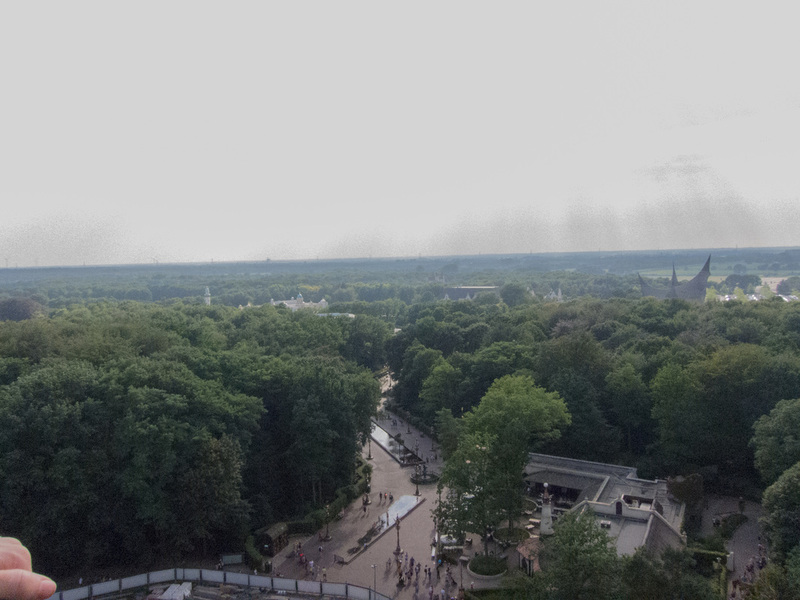 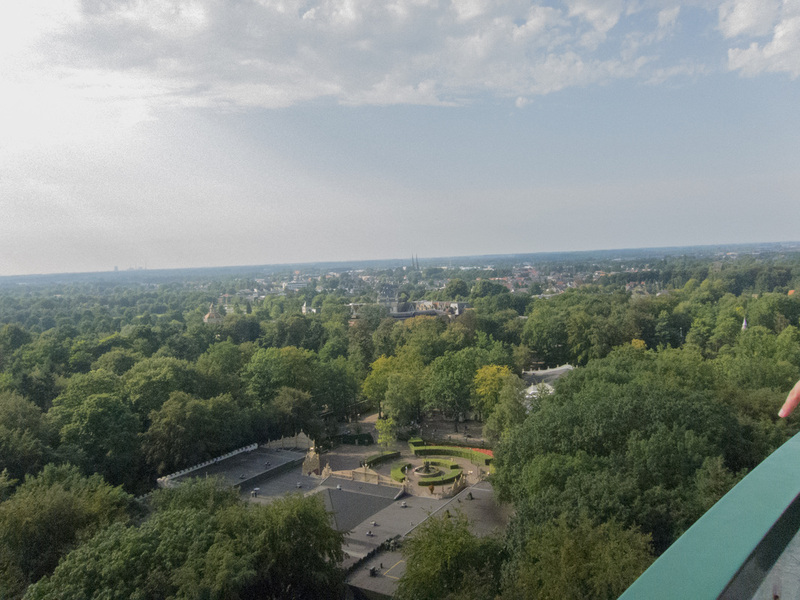 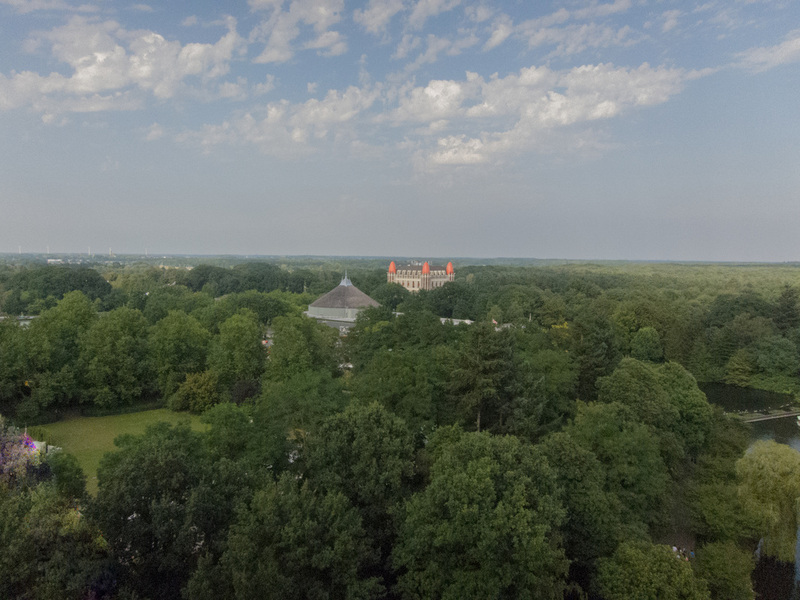 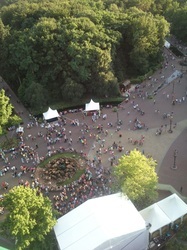 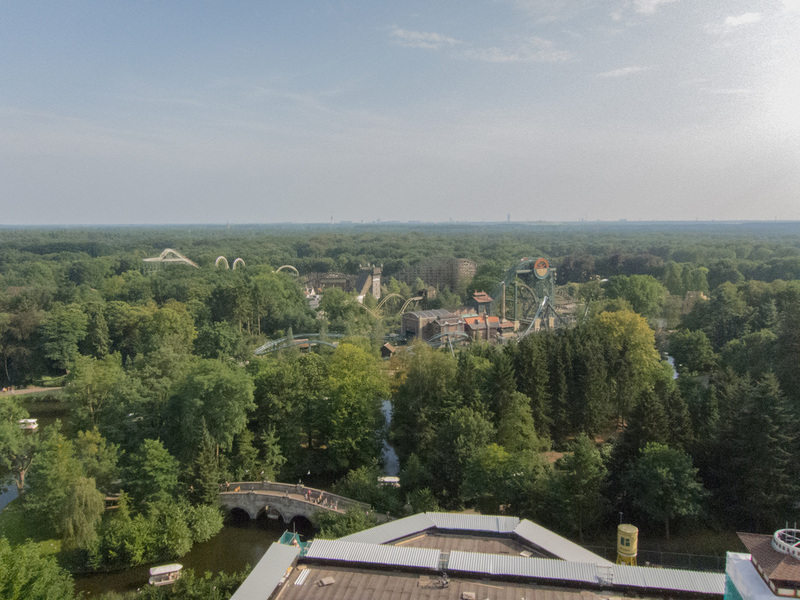 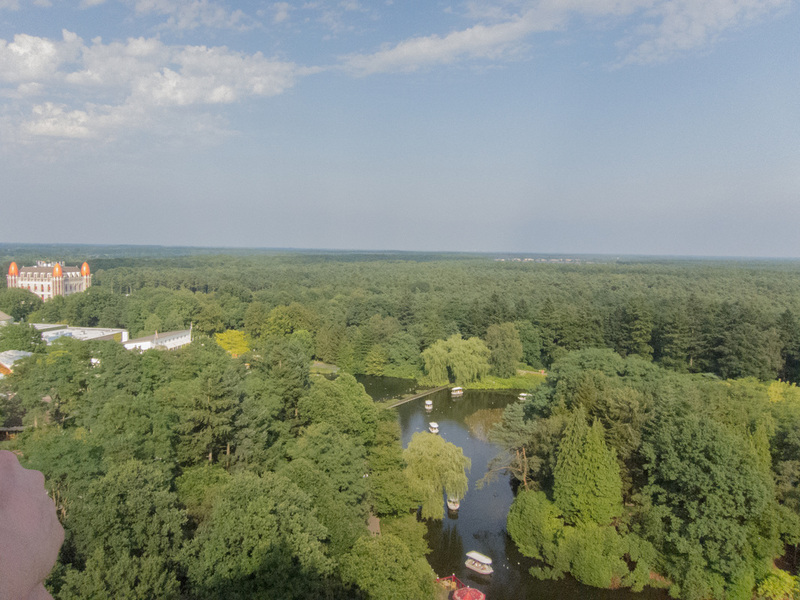 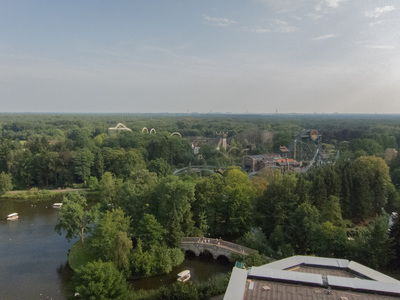 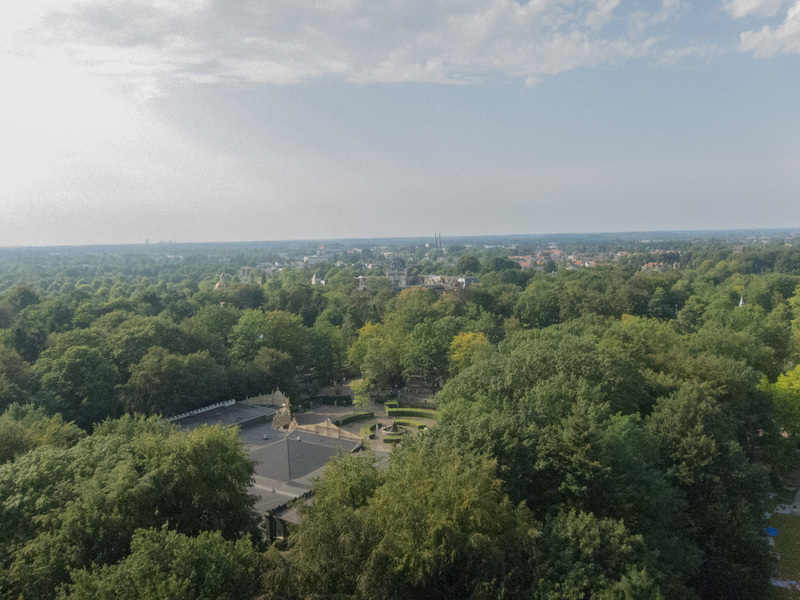 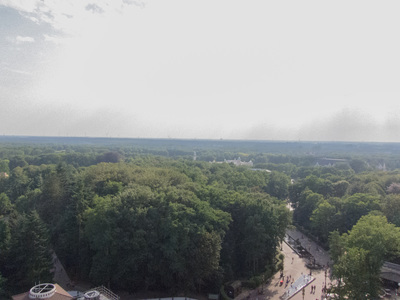 The Efteling looks incredible from up here! Go on, have a look if you dare whilst the temple twists full circle. 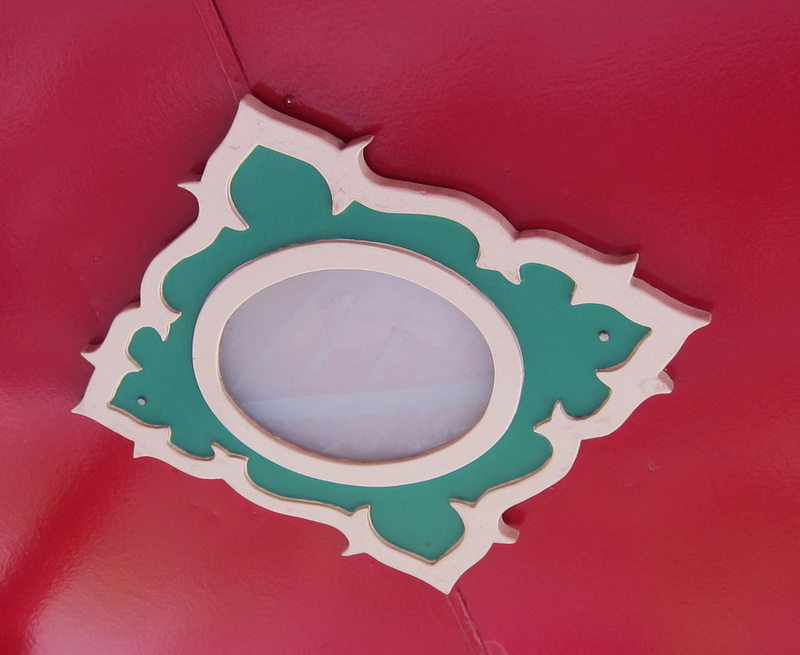 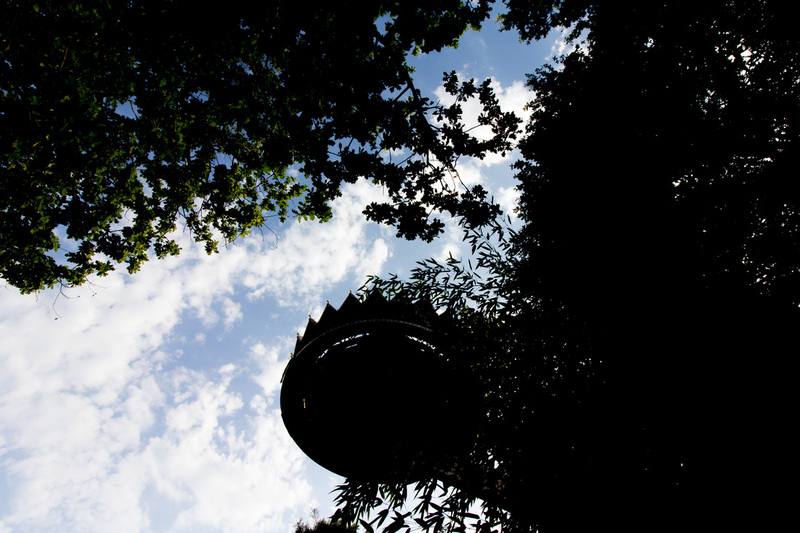 Look at that… that’s where we have already been today… So where are you going to go next? Just a few more moments in the air and the Thai temple will bring you back to solid ground. 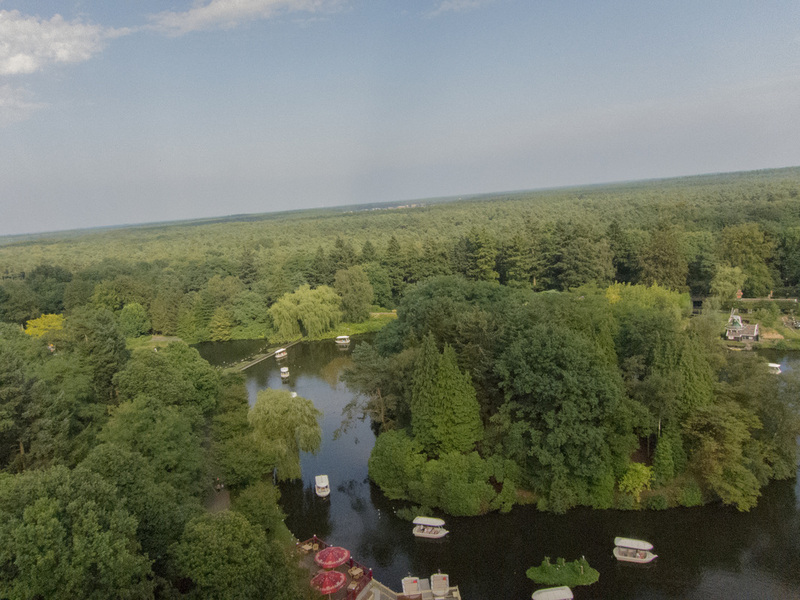 What a tremendous flight. 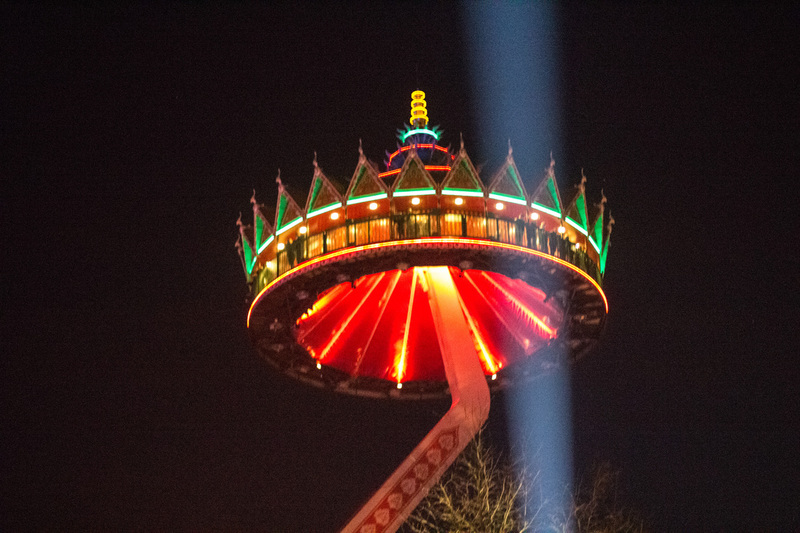 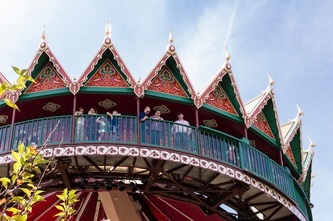 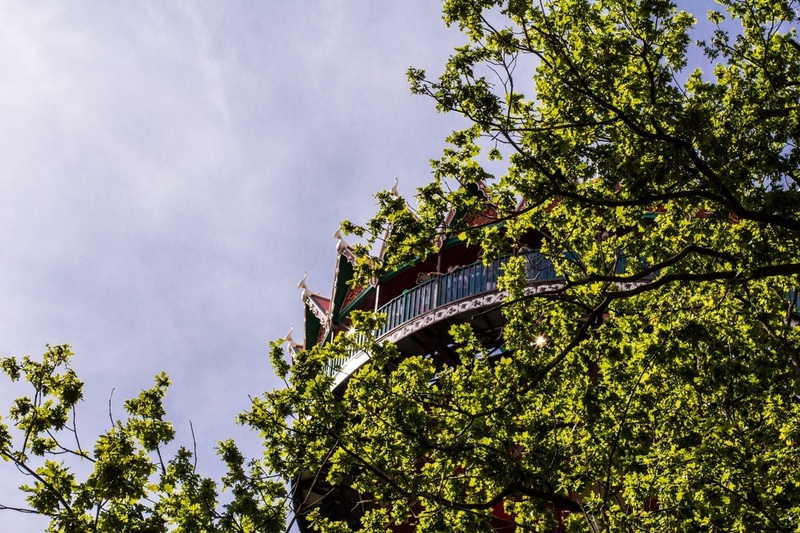 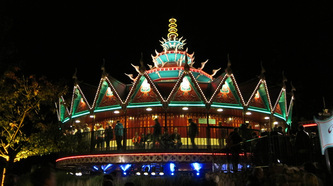 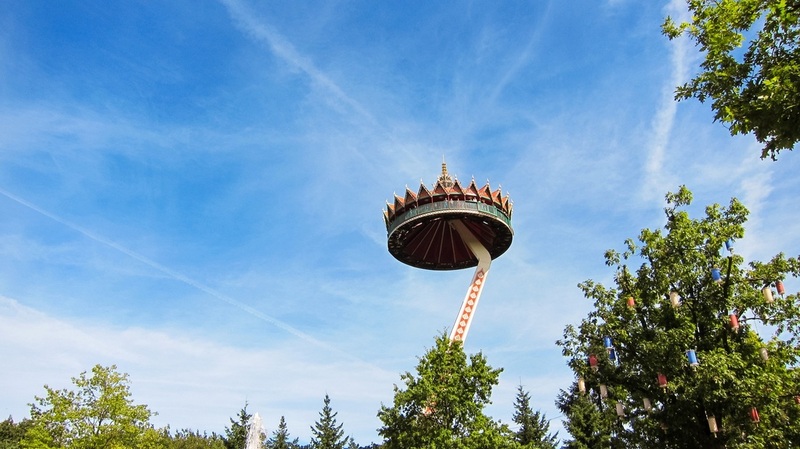 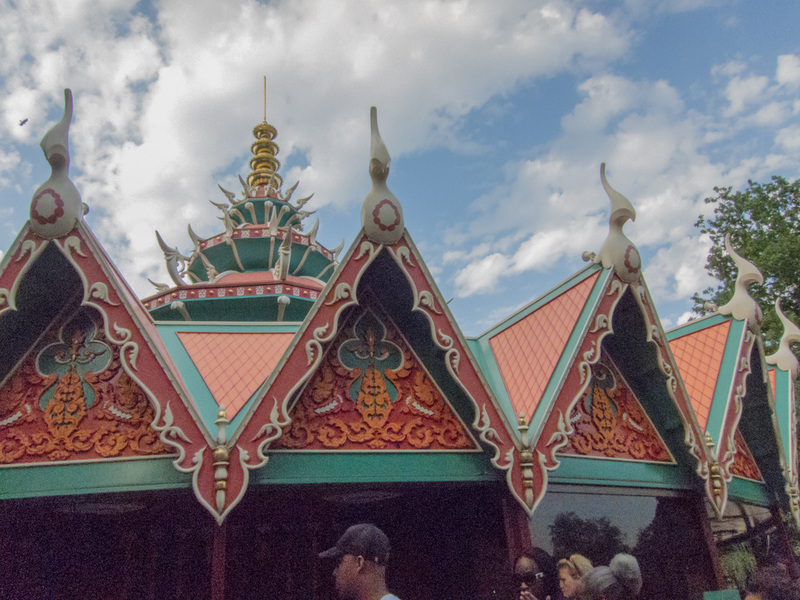 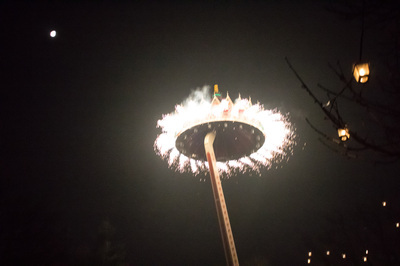 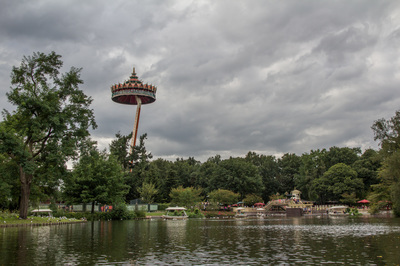 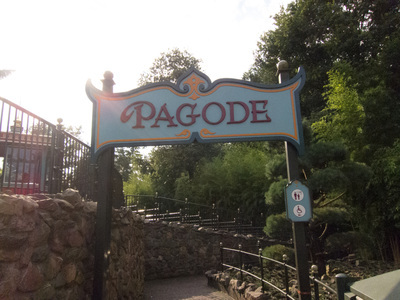 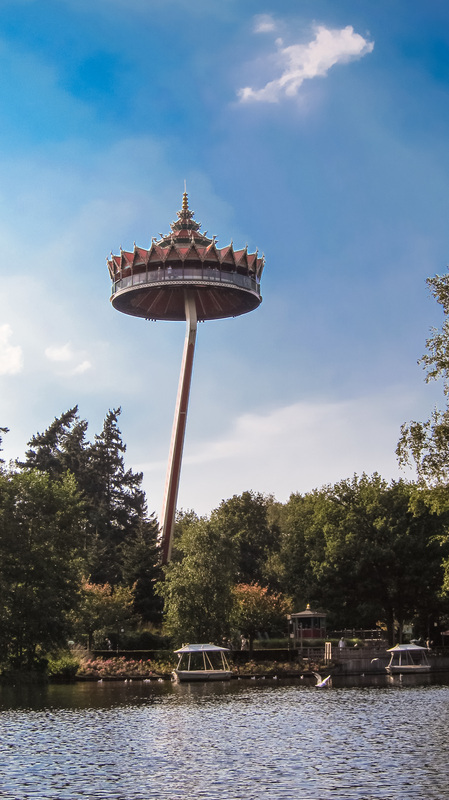 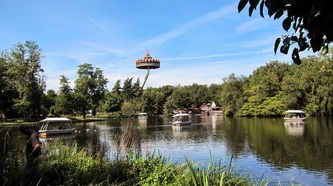 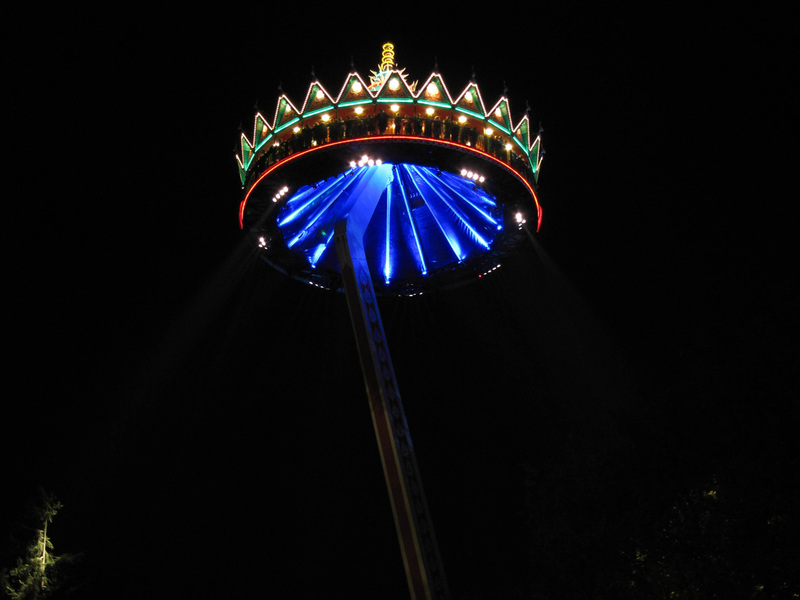 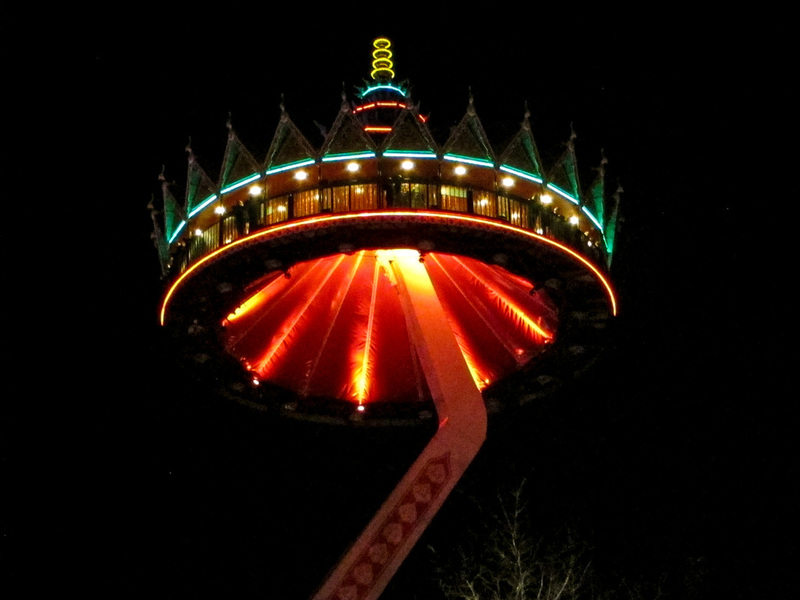 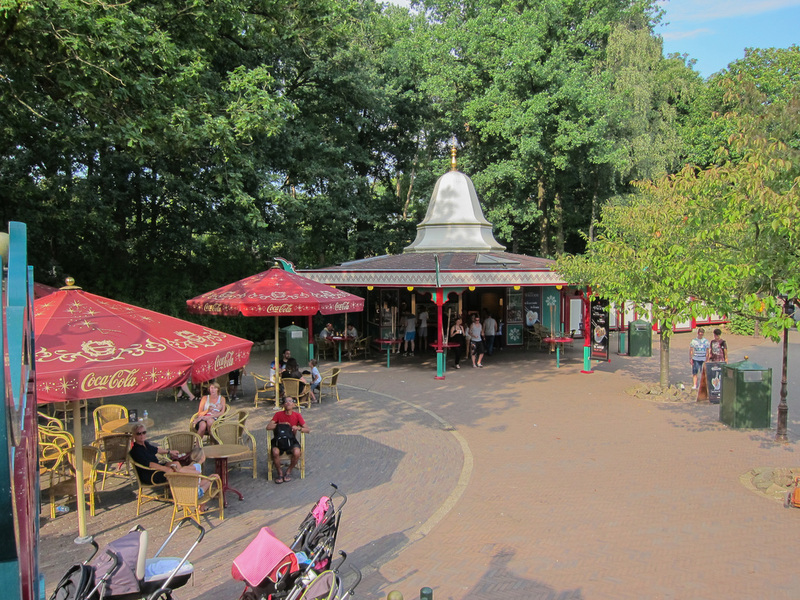 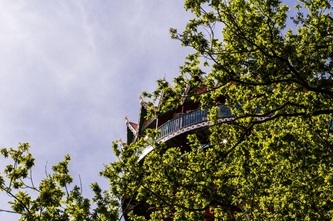 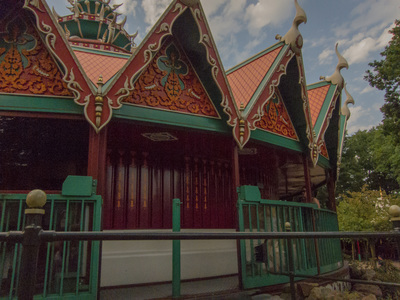 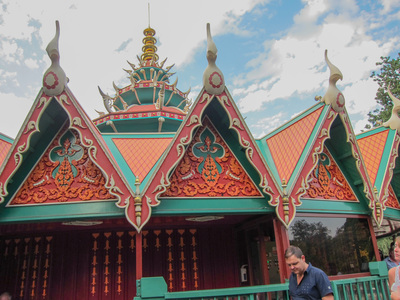 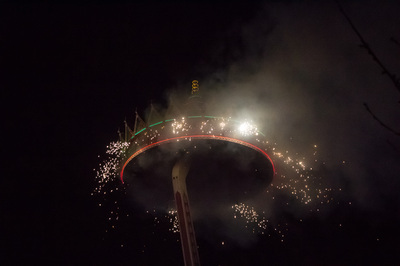 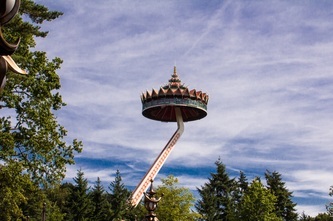 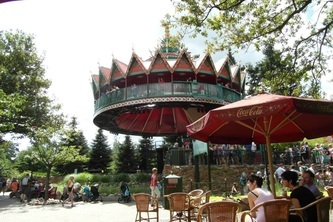 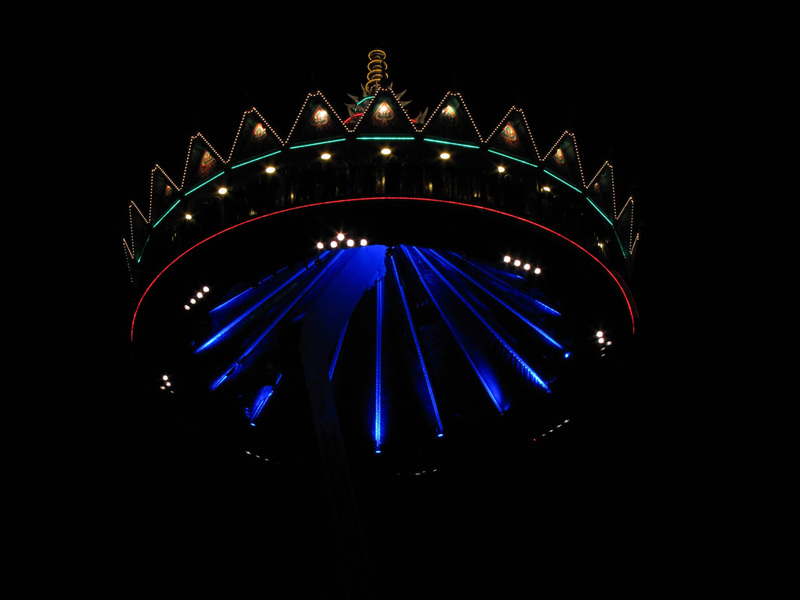 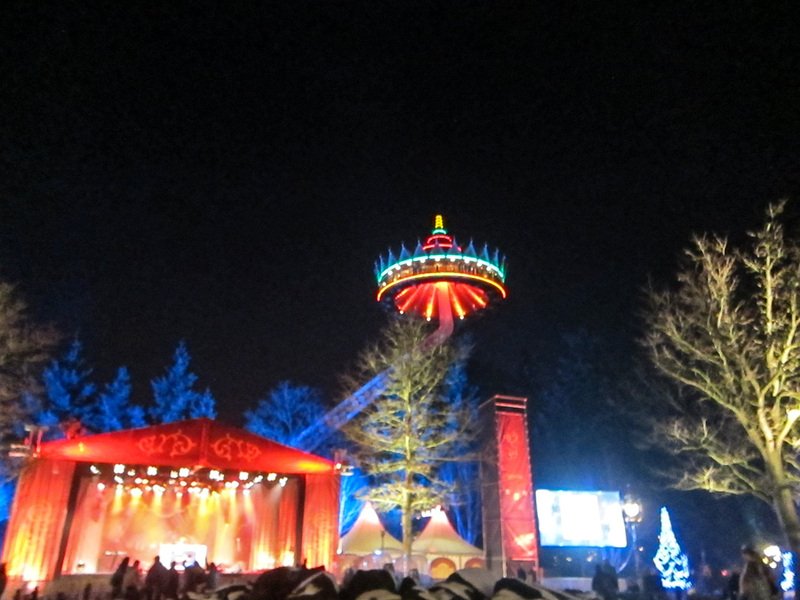 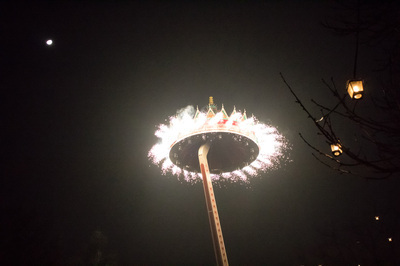 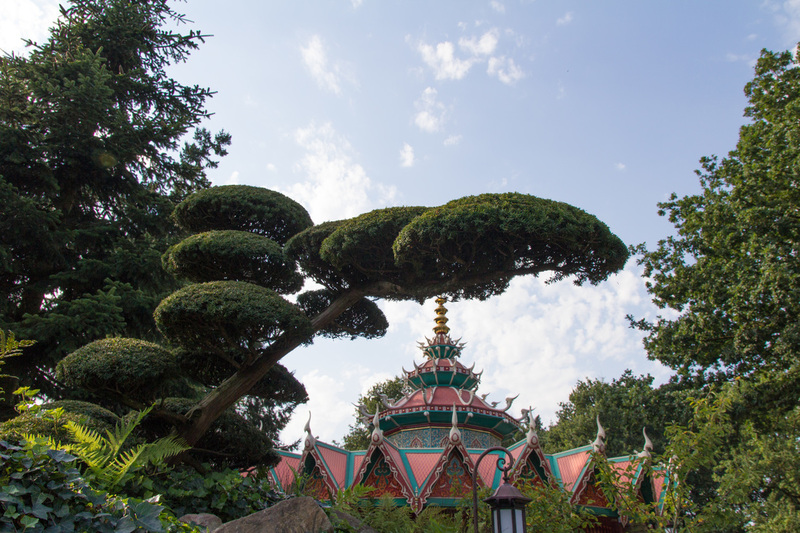 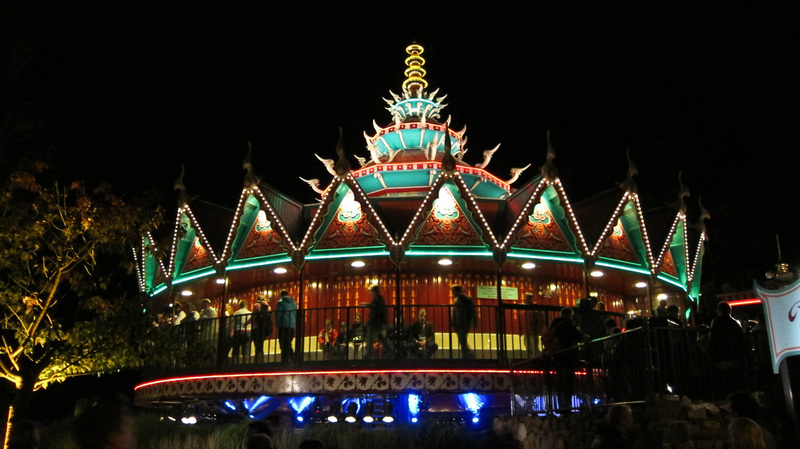 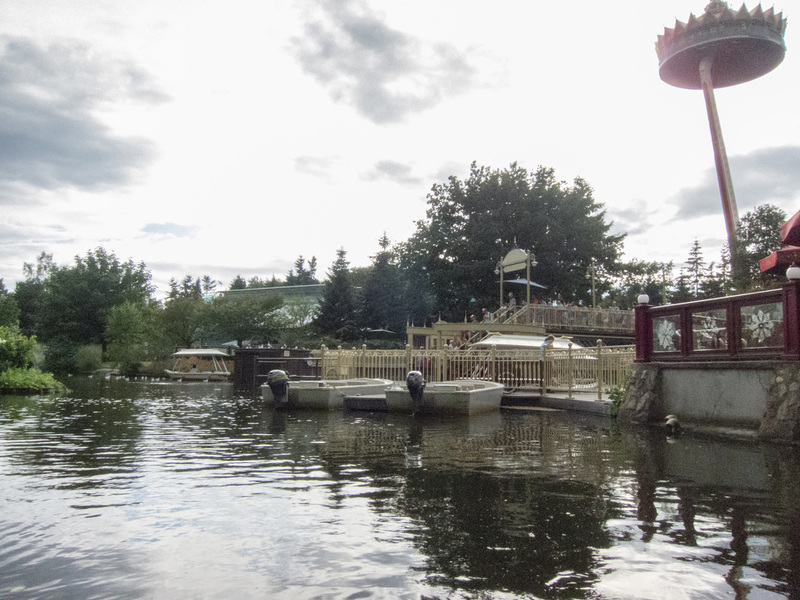 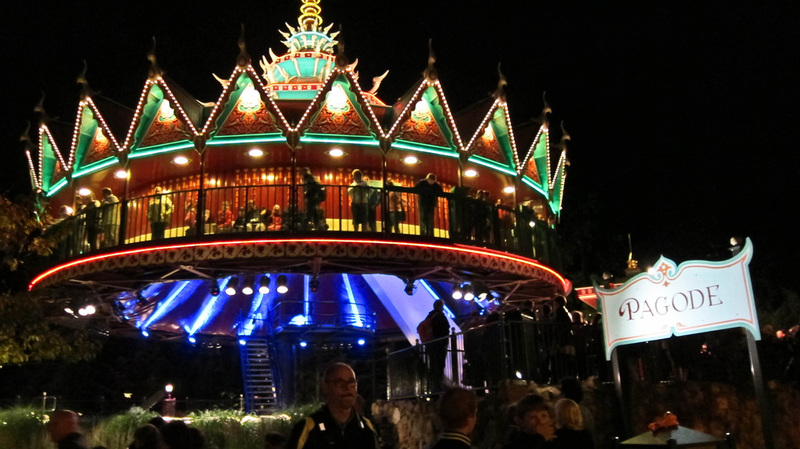 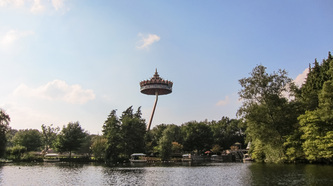 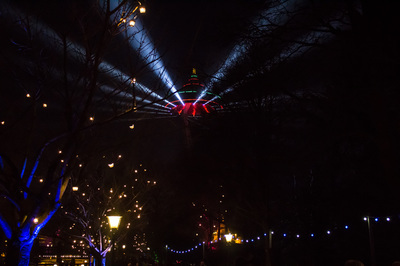 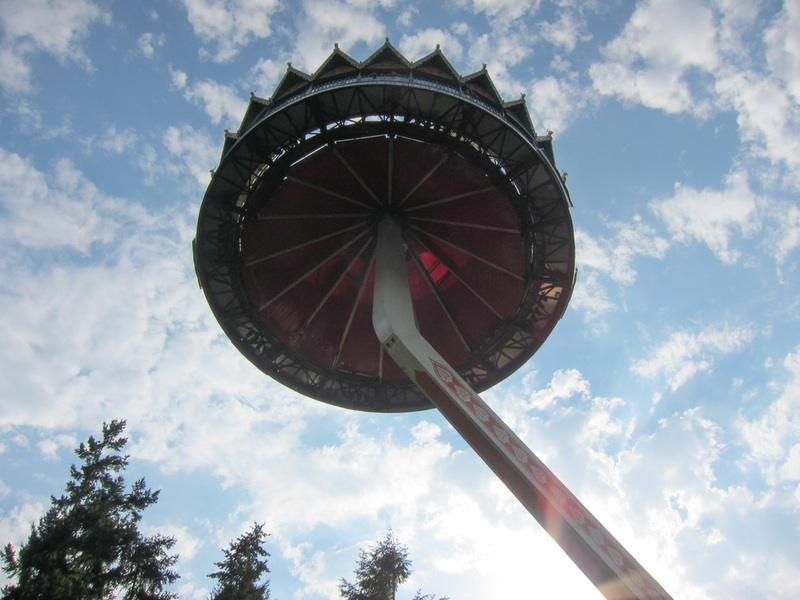 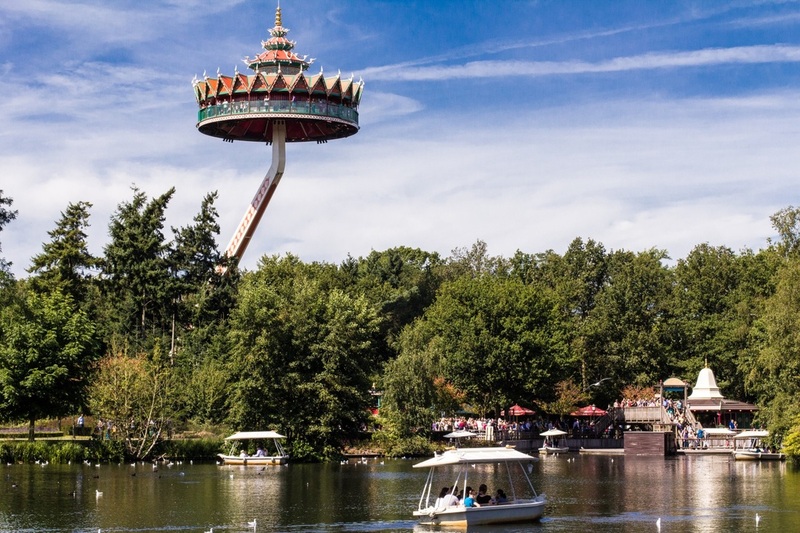 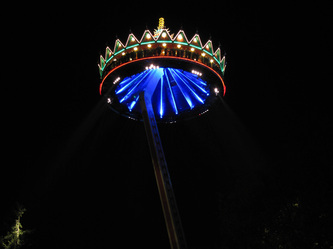 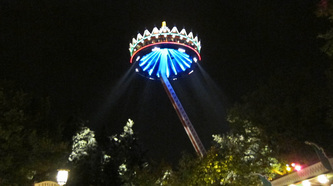 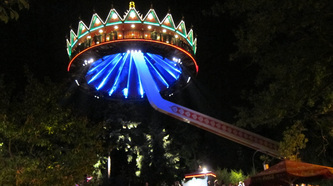 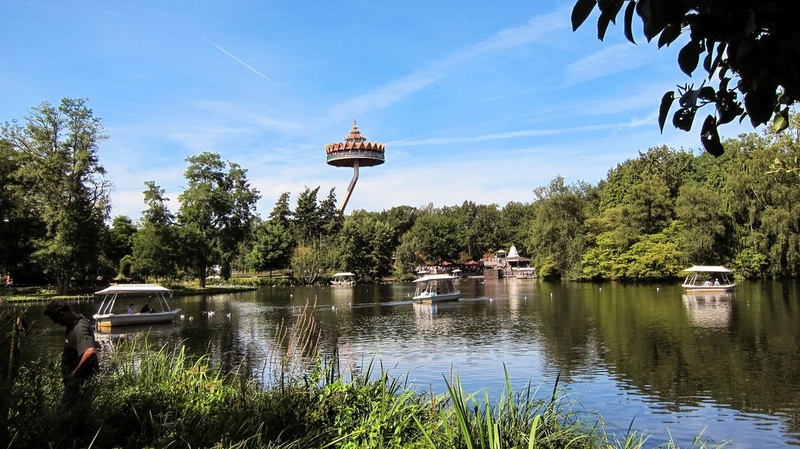 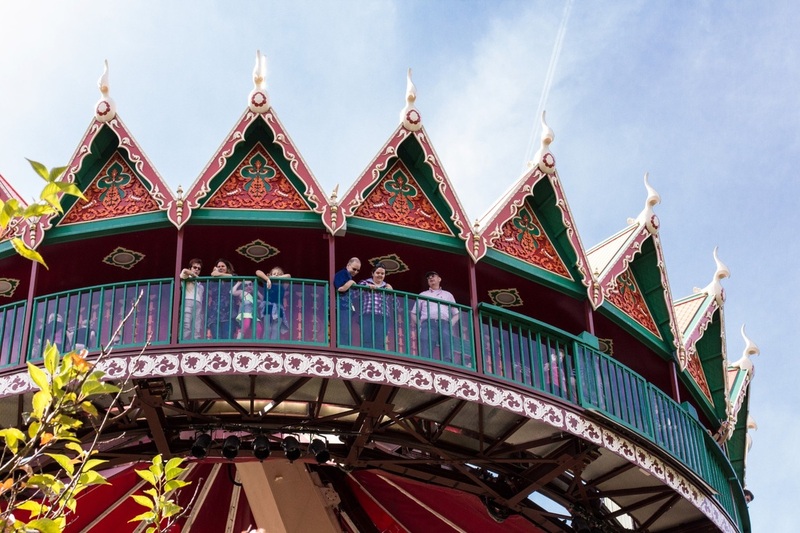 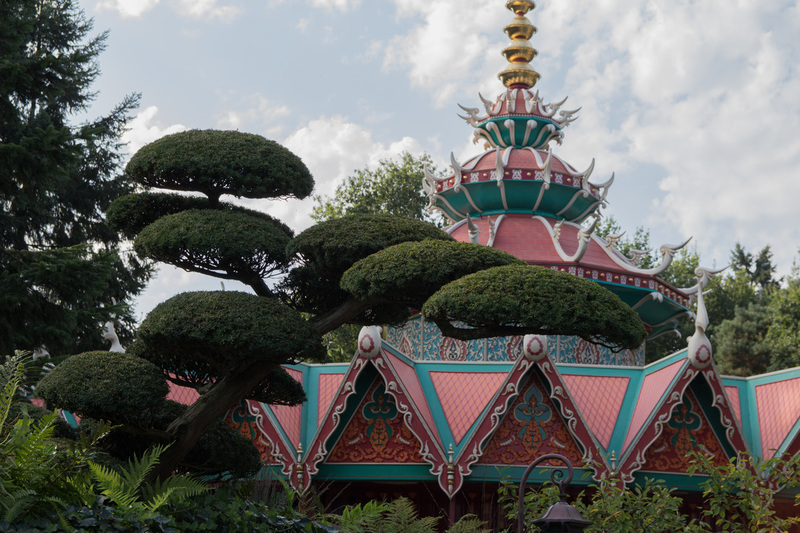 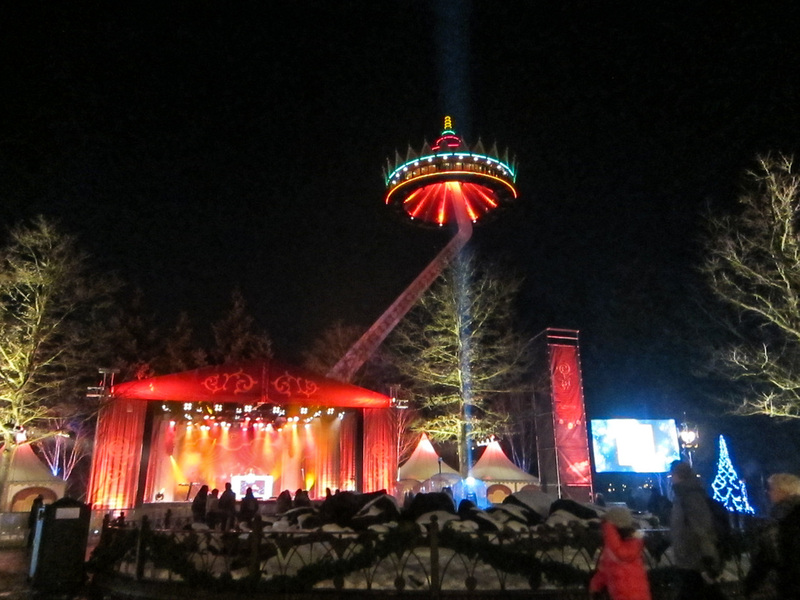 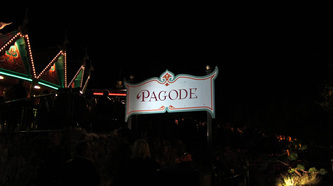 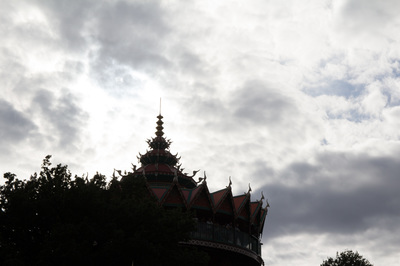 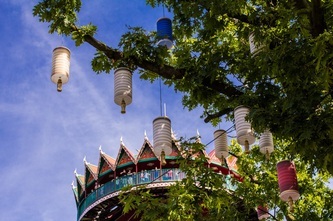 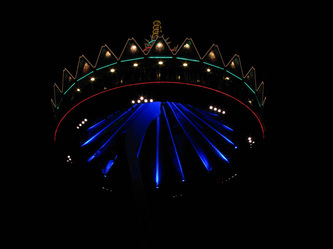 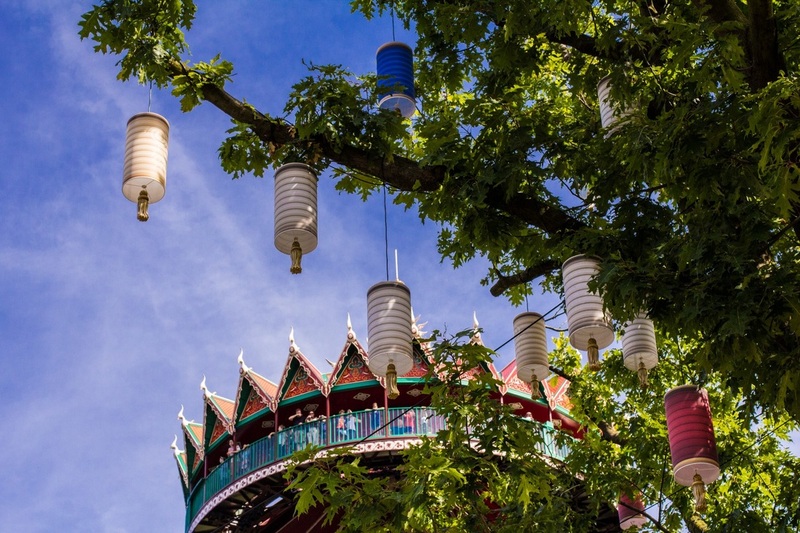 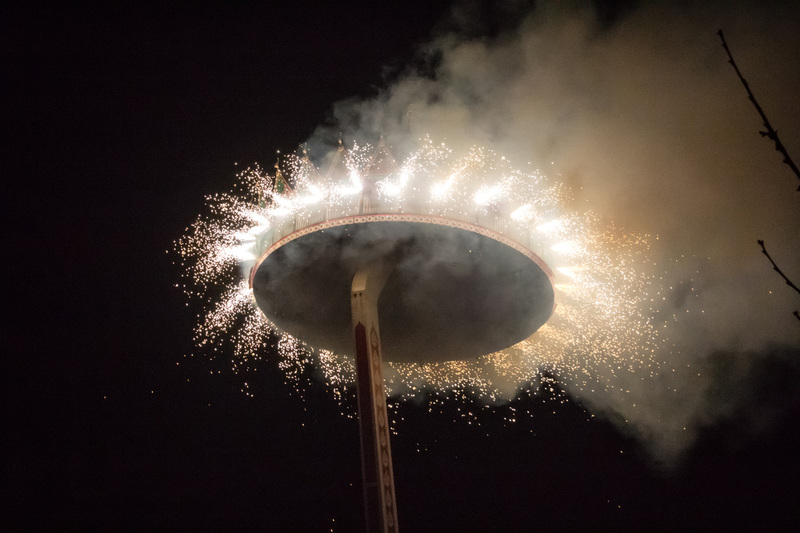 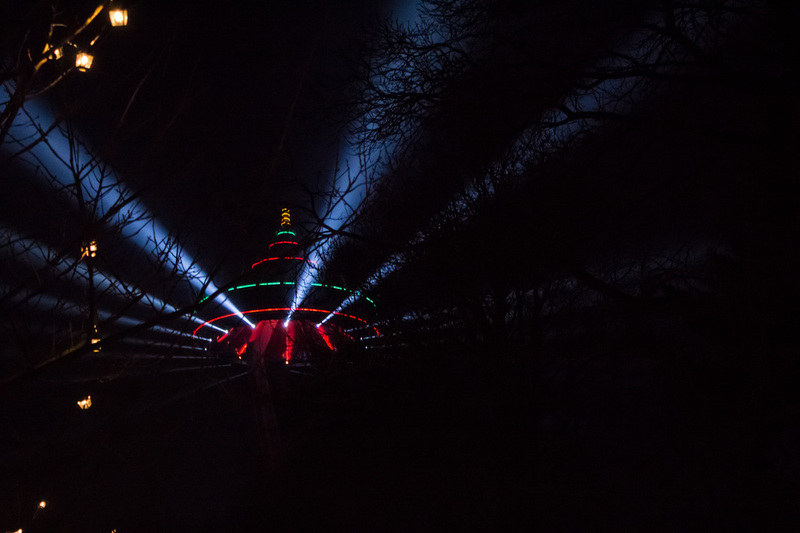 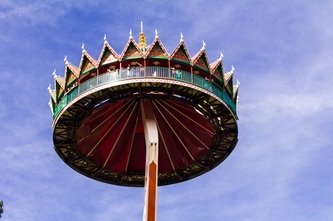 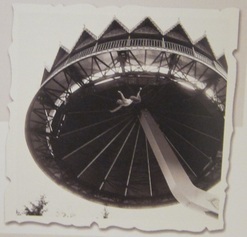 The Pagode has been taking off from the Efteling since 1987. 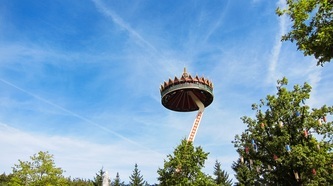 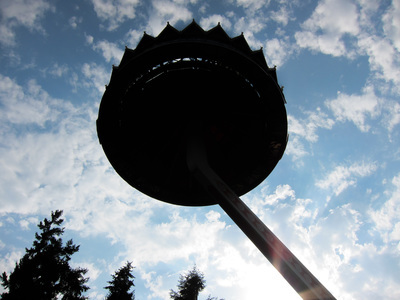 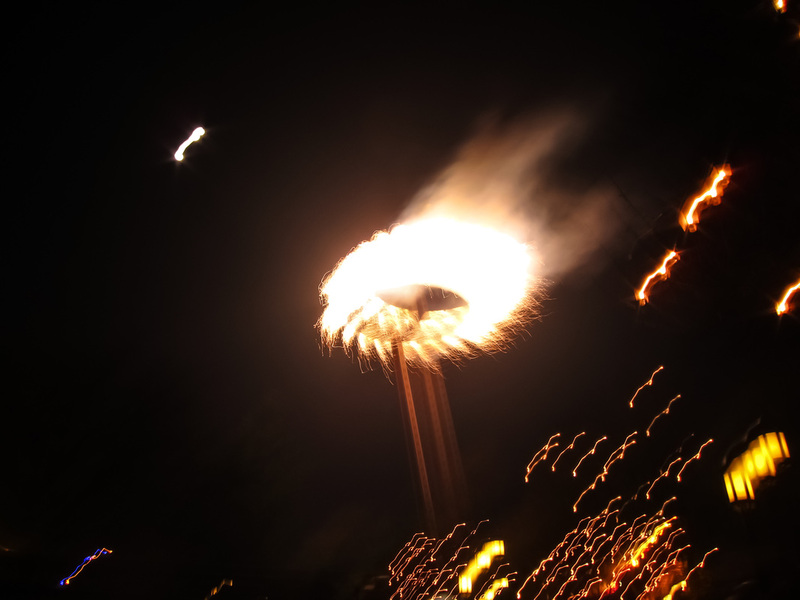 This flying temple of Thai design, slowly revolves while it is up in the air. The temple extends up to 45 metres above the ground and has a diameter of 16 metres. 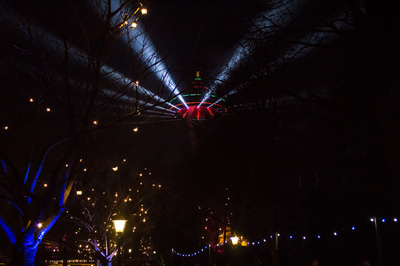 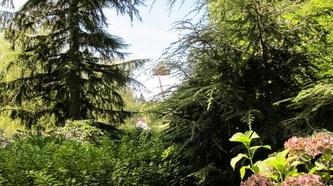 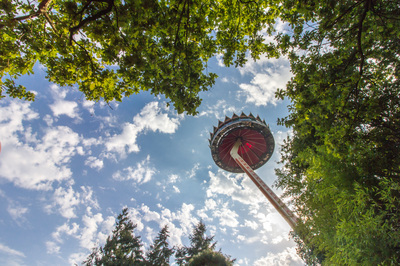 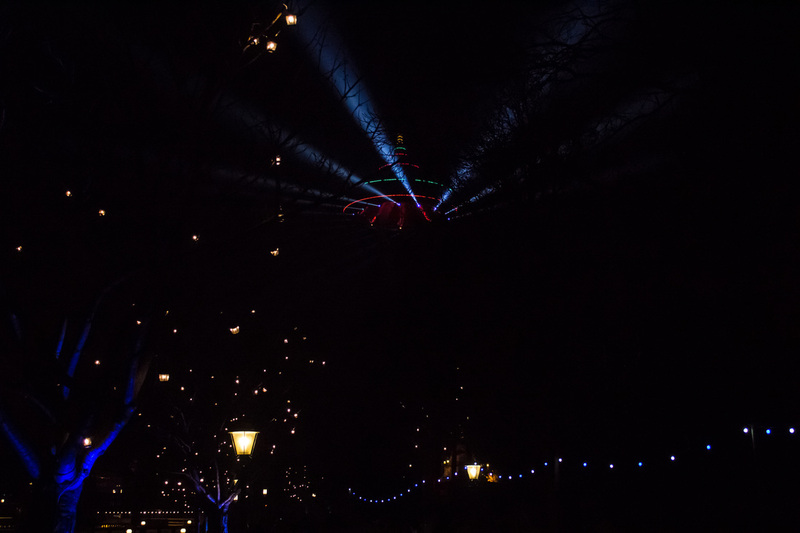 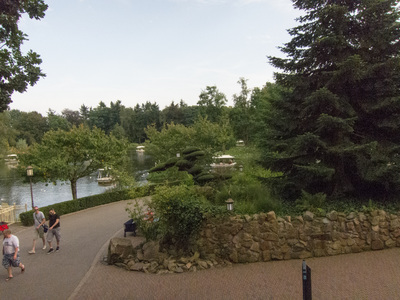 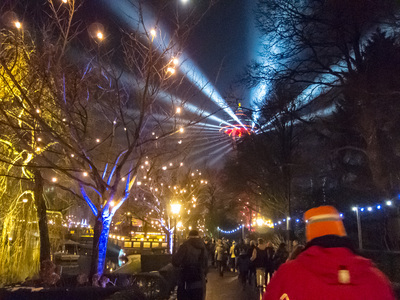 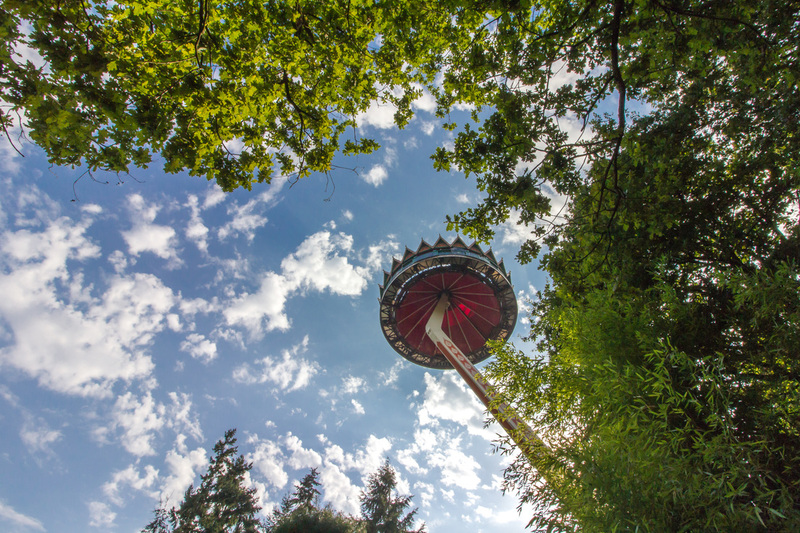 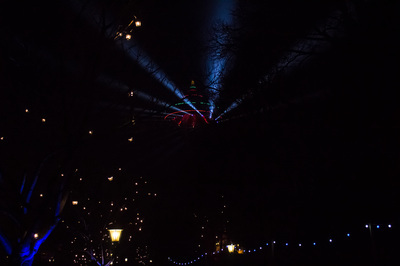 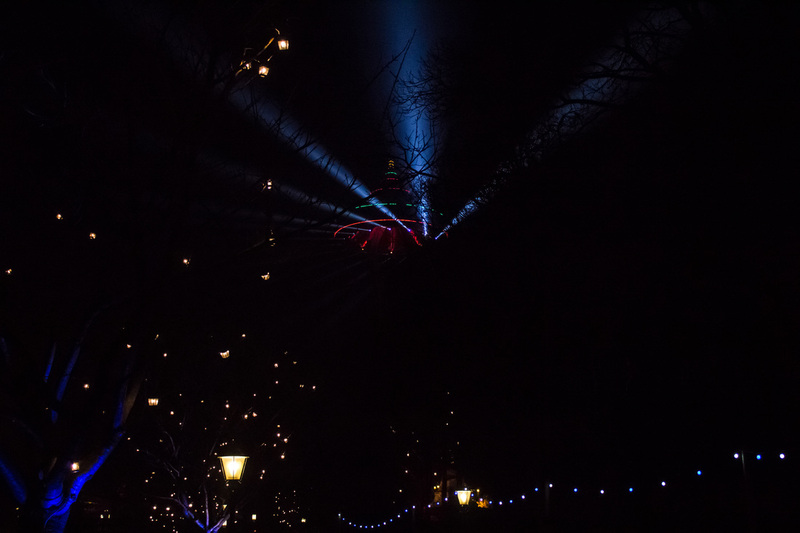 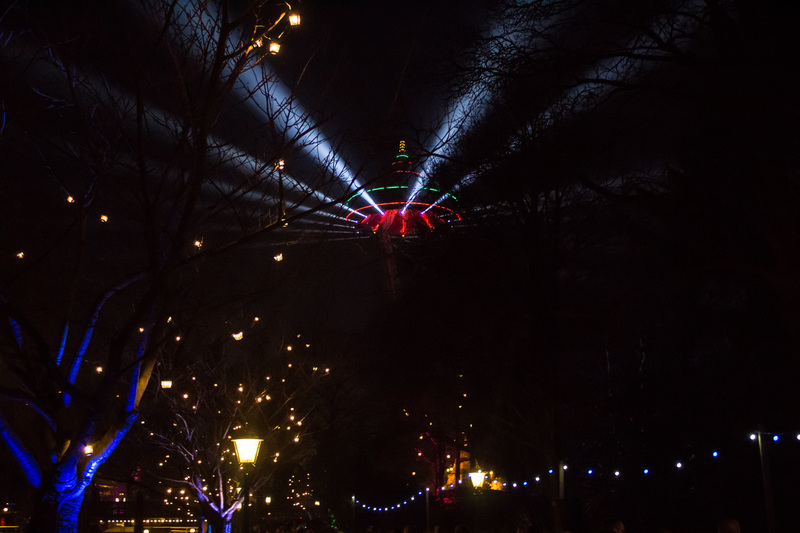 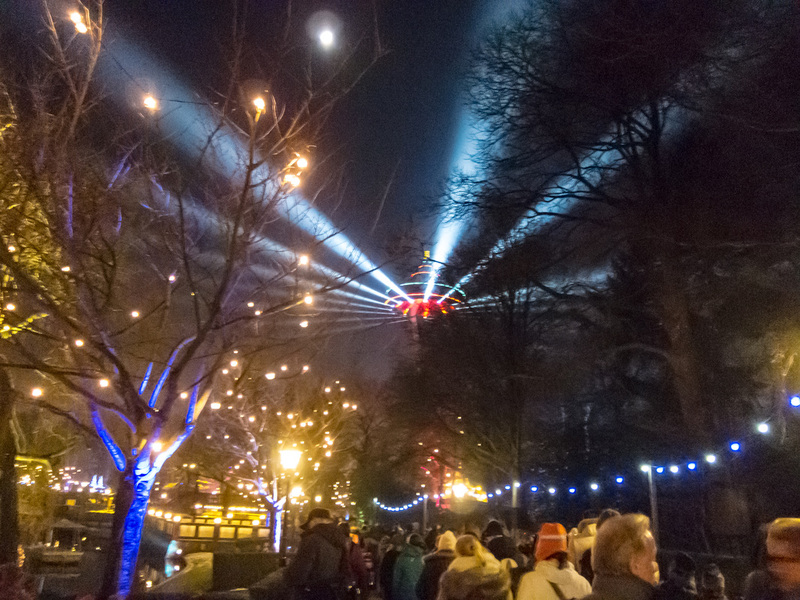 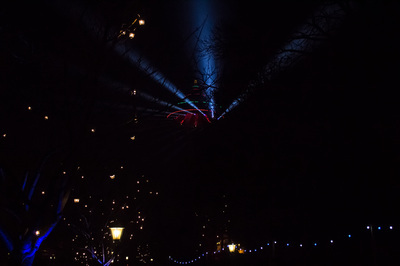 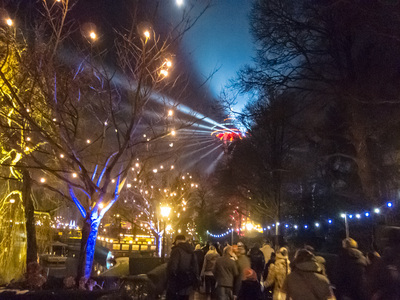 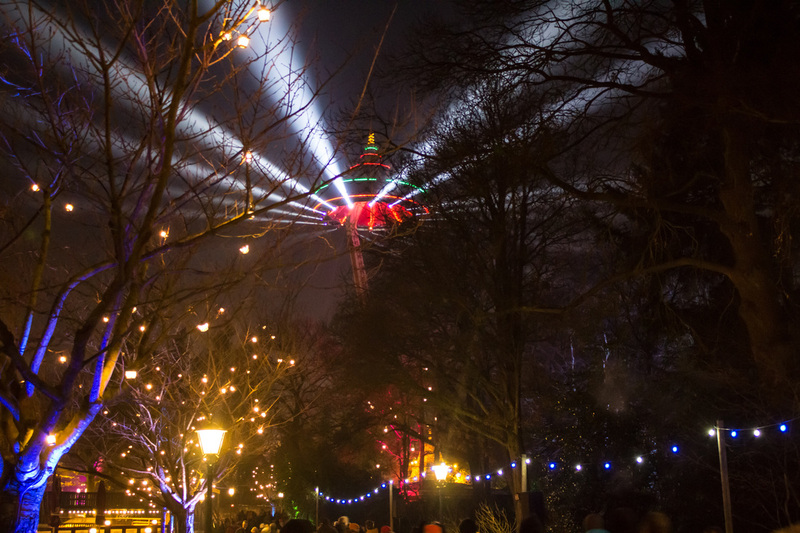 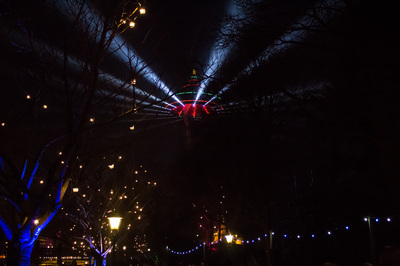 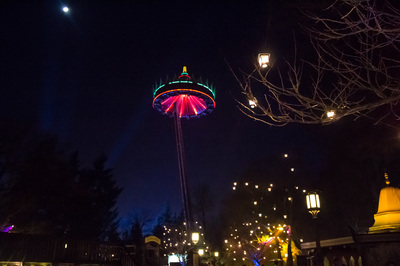 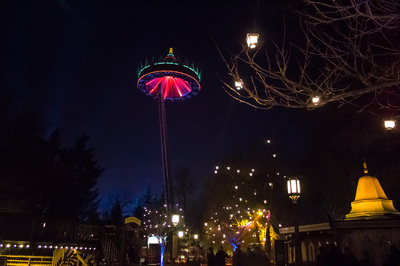 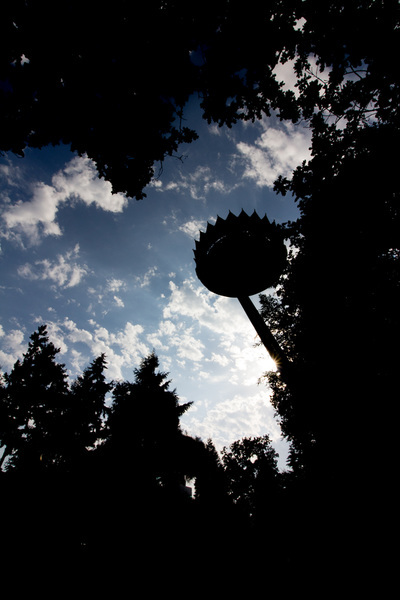 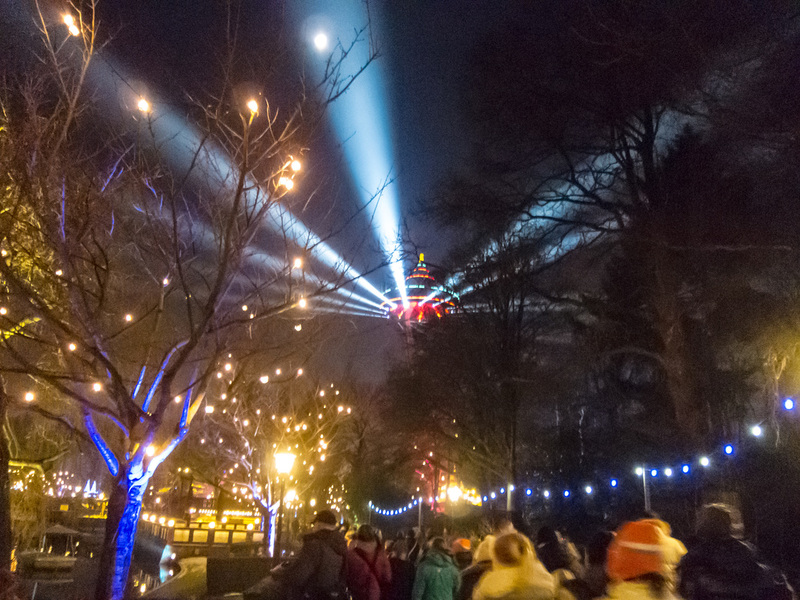 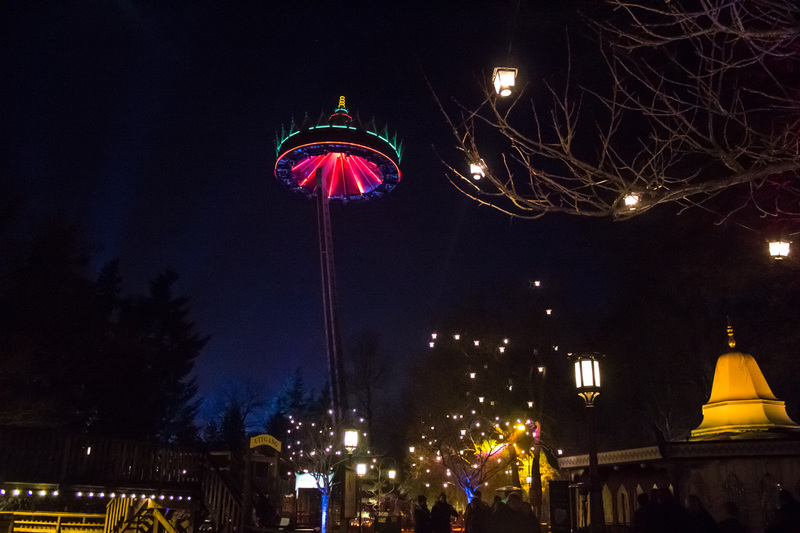 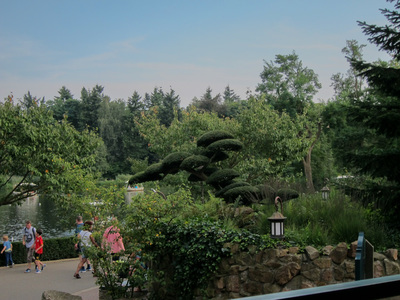 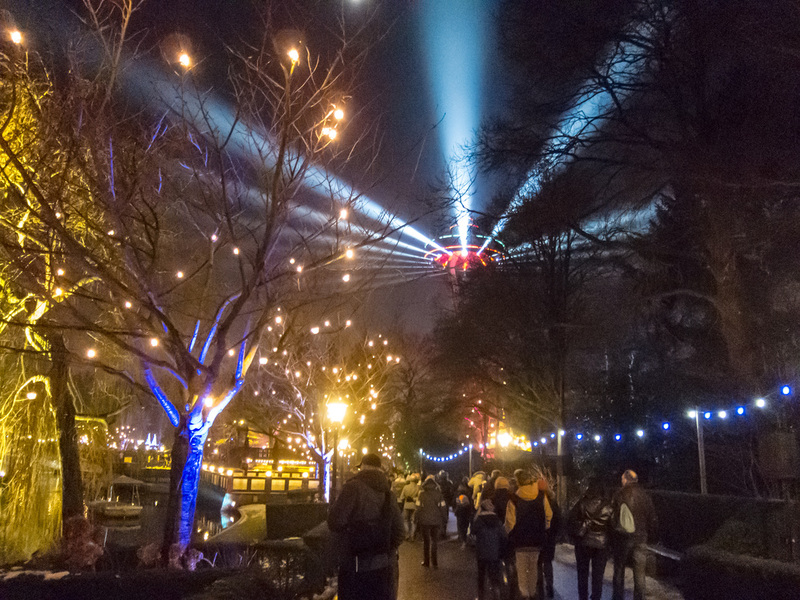 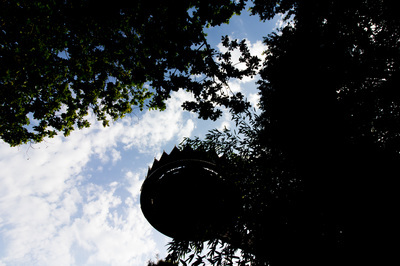 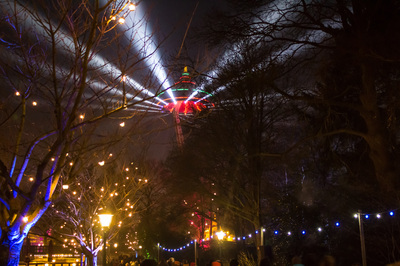 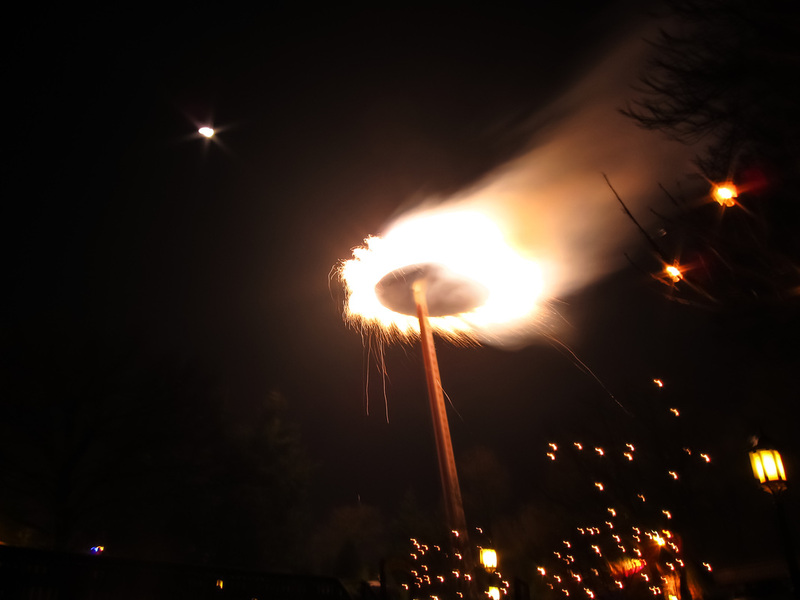 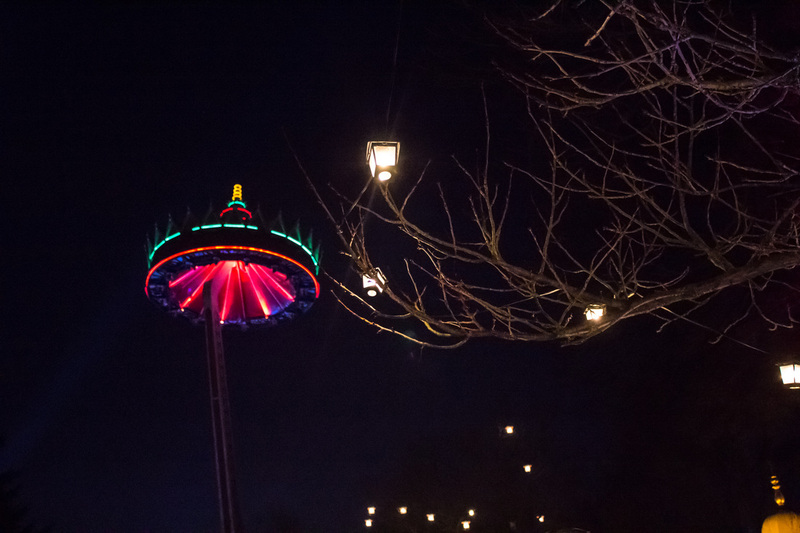 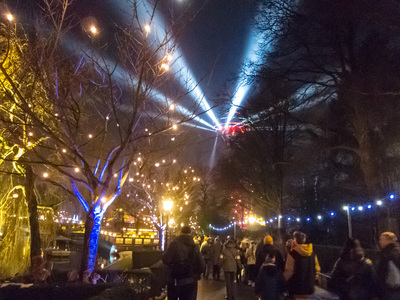 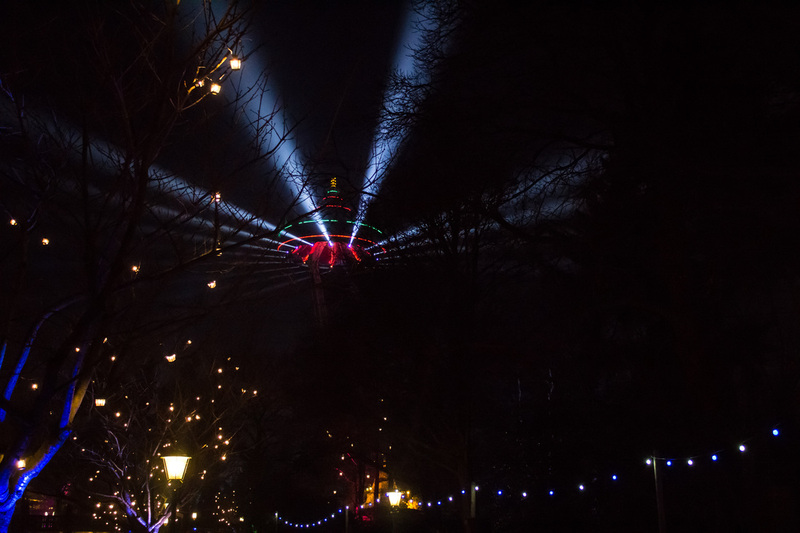 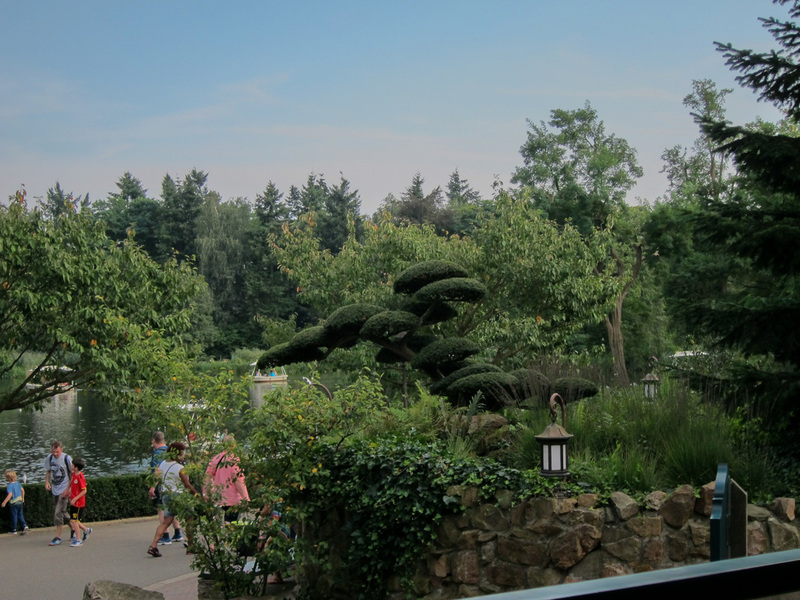 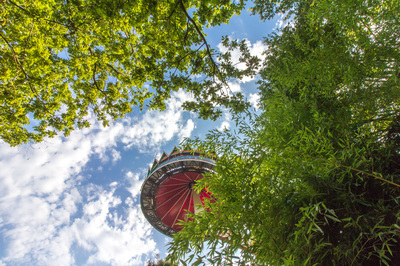 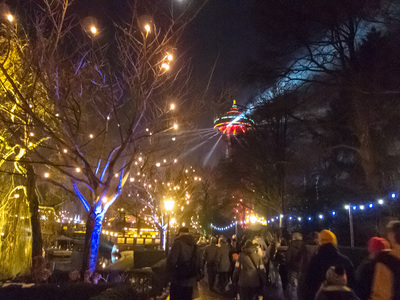 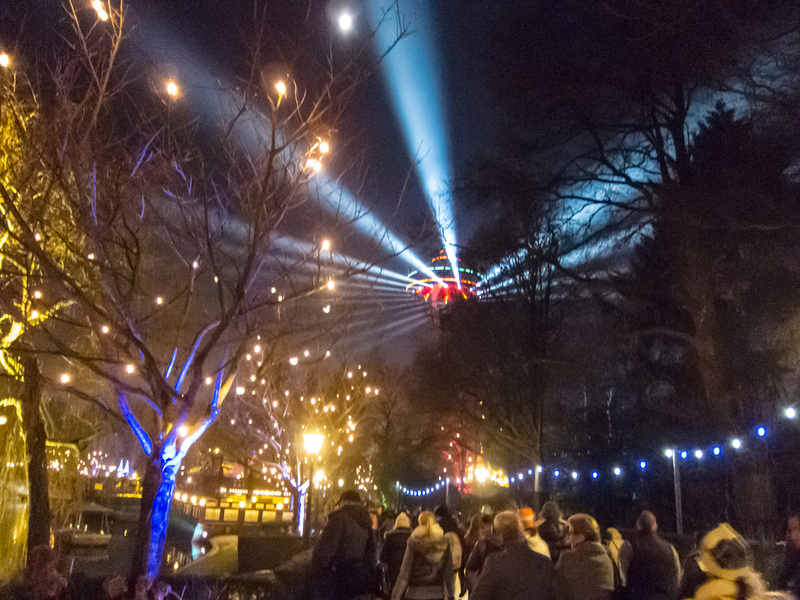 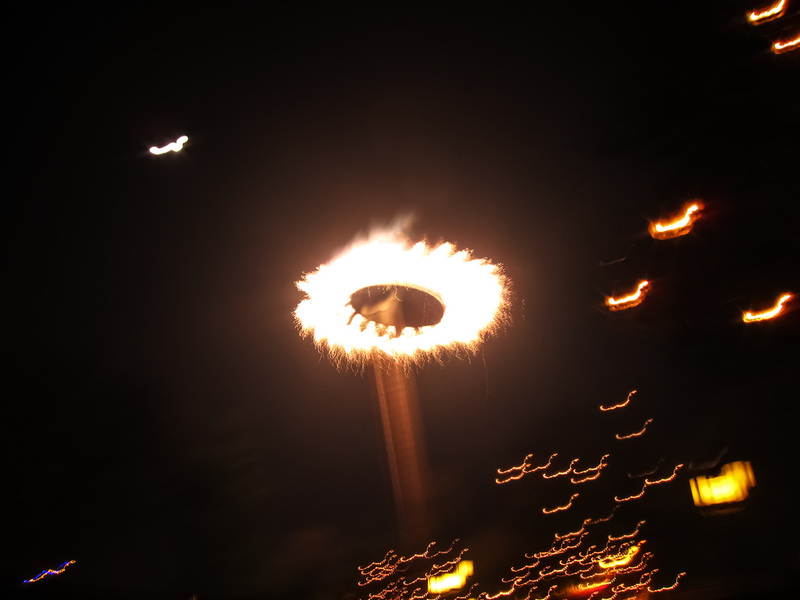 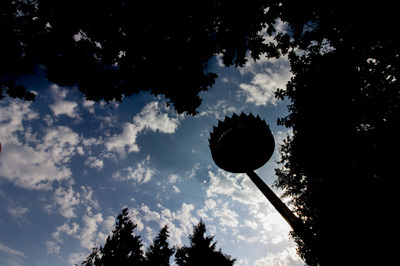 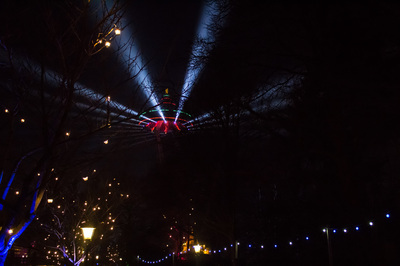 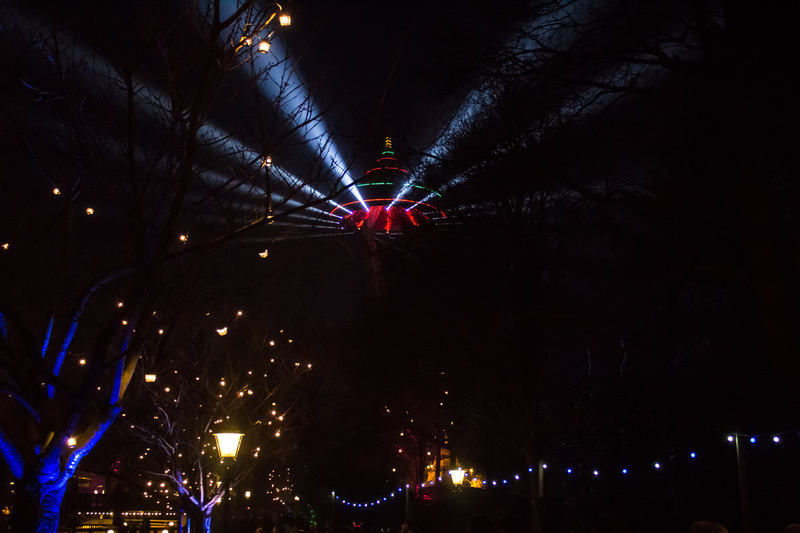 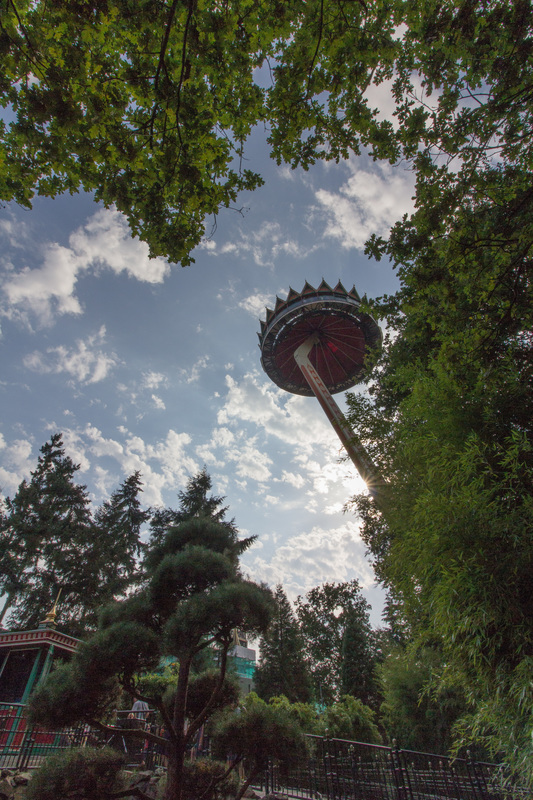 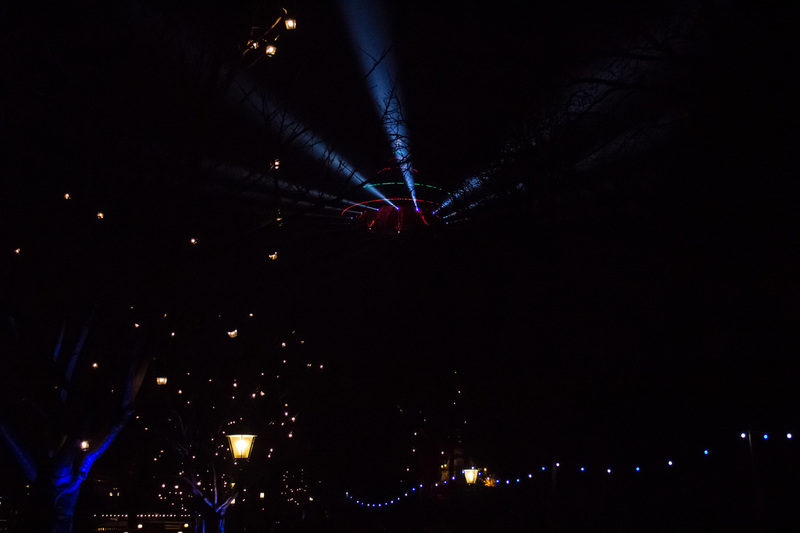 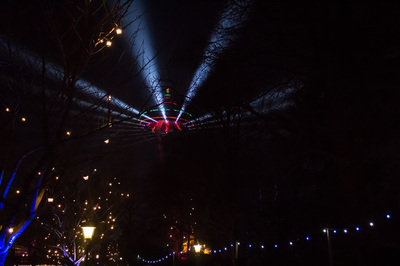 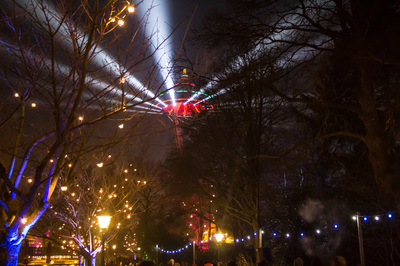 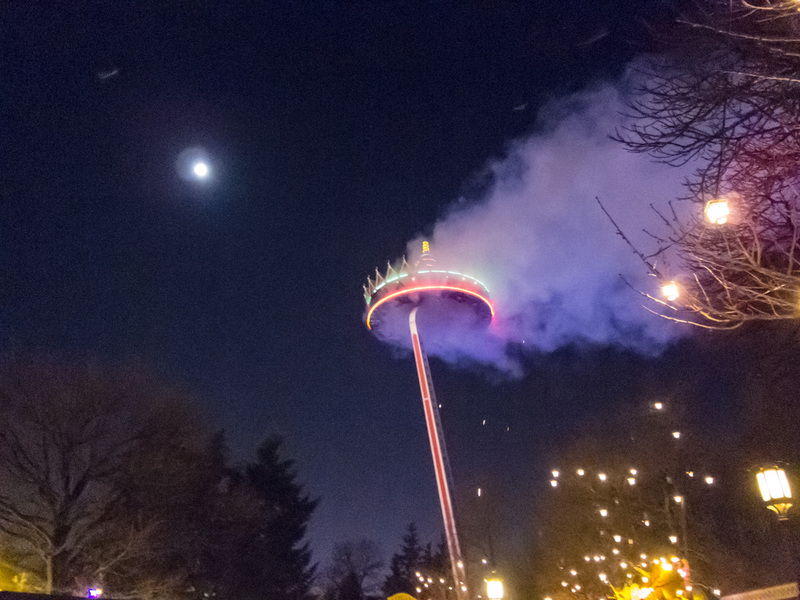 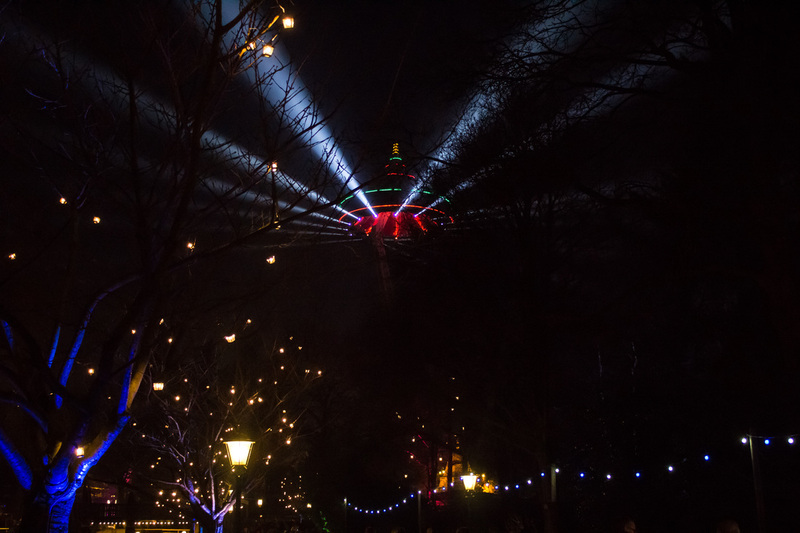 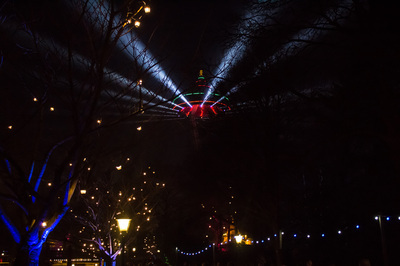 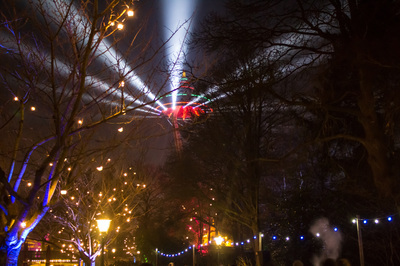 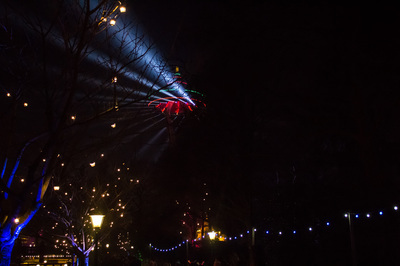 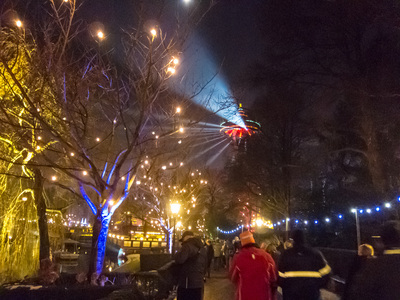 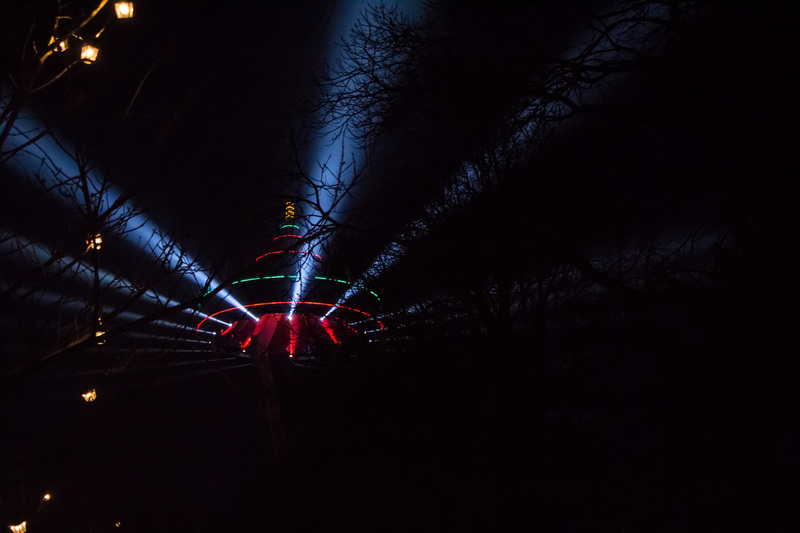 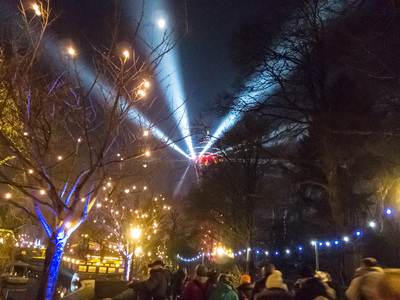 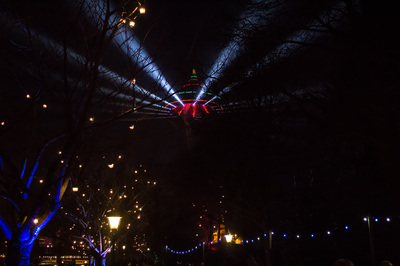 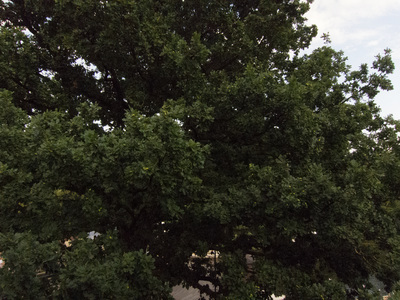 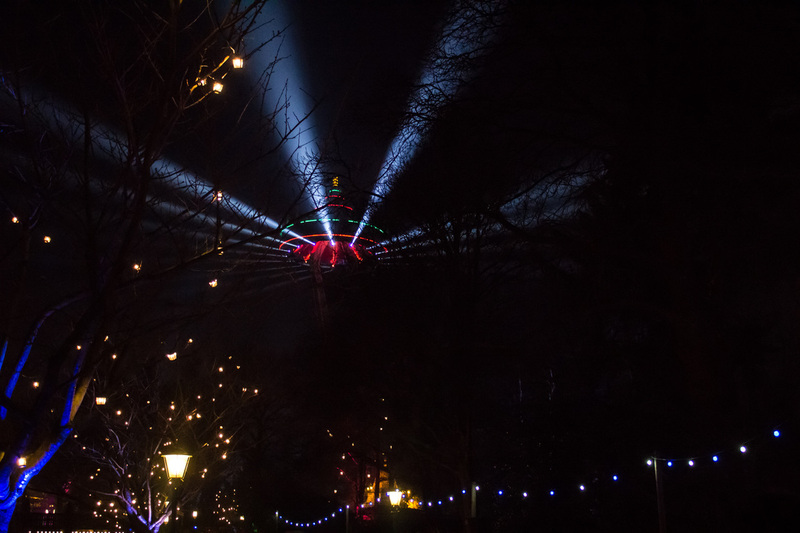 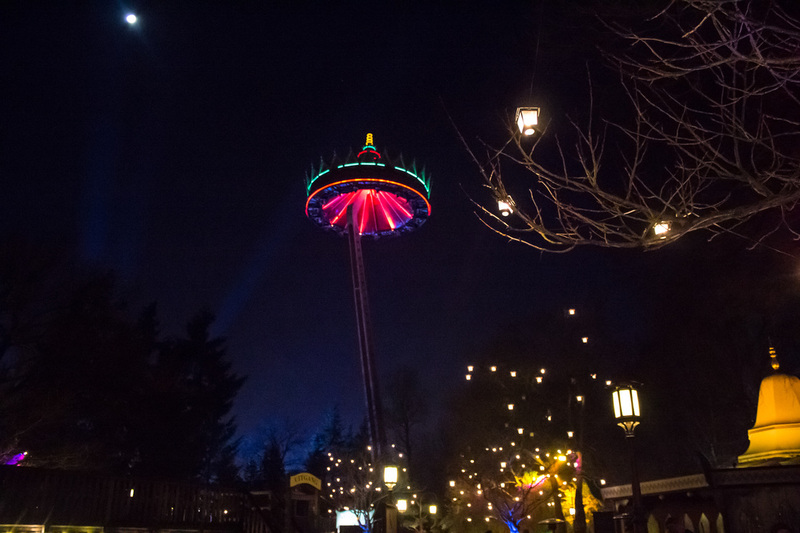 You can see it rise above the trees when you are on your way to the Efteling and when you are approaching the park. The arm of the Pagoda weighs 225 tonnes and is powered hydraulically. 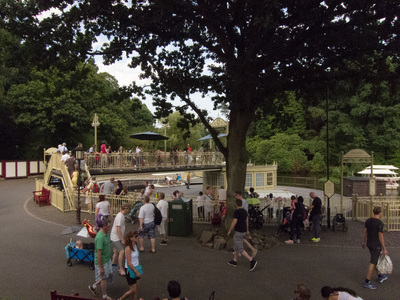 Wheelchair users please enter through the exit.